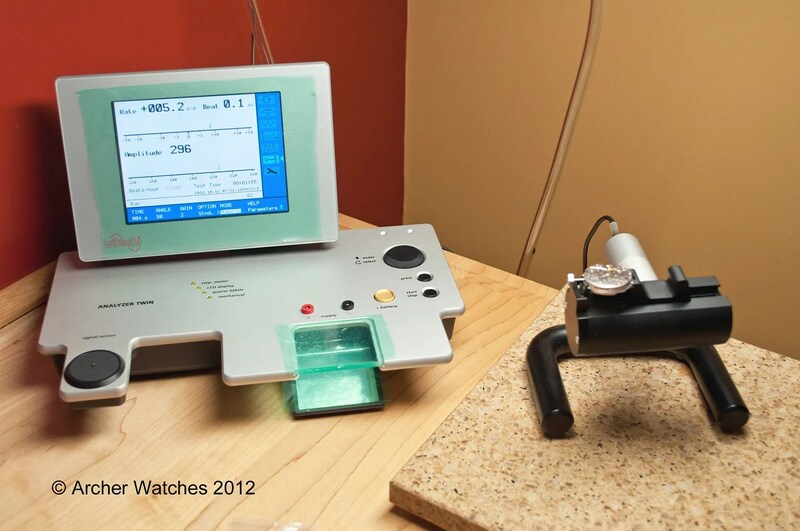 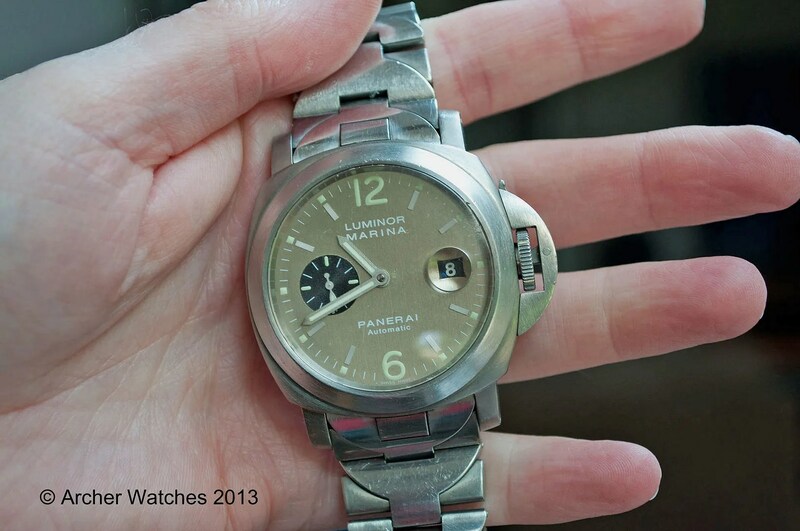 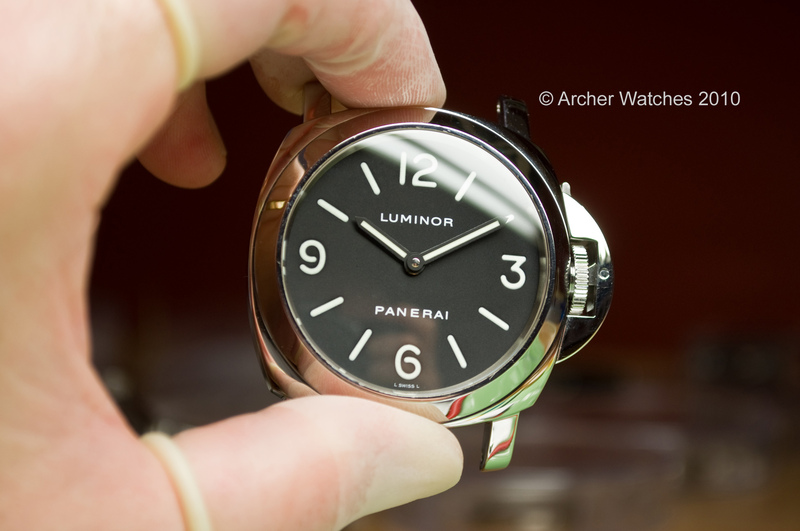 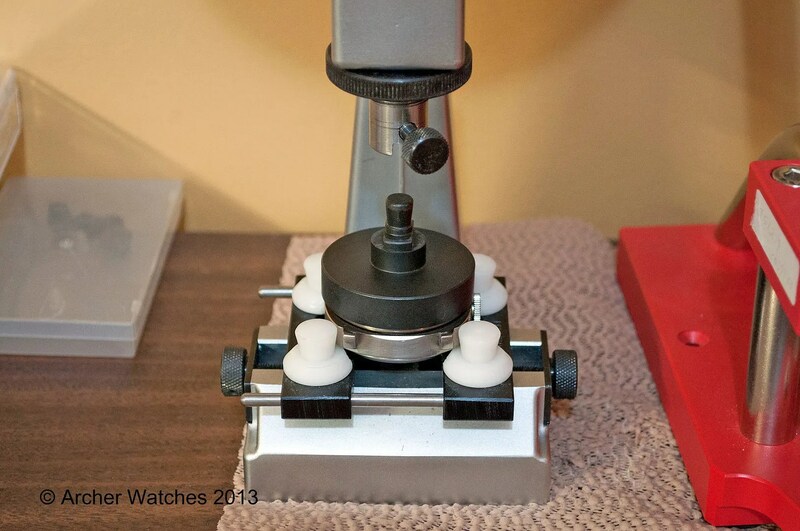 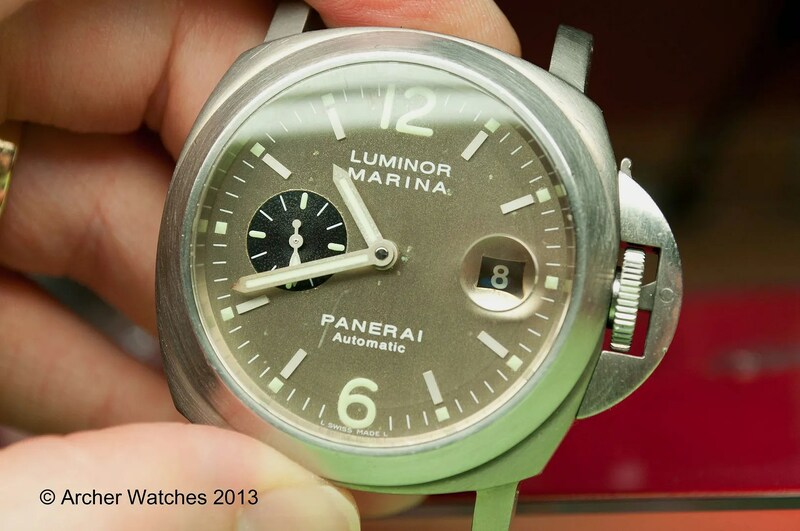 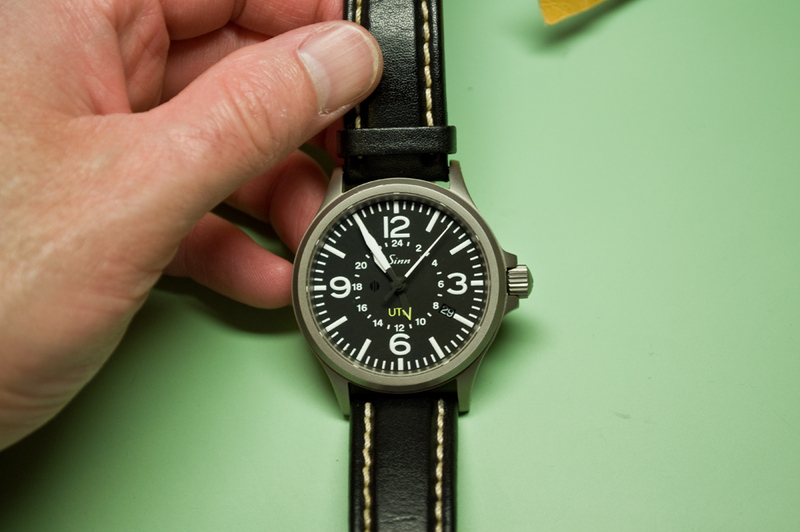 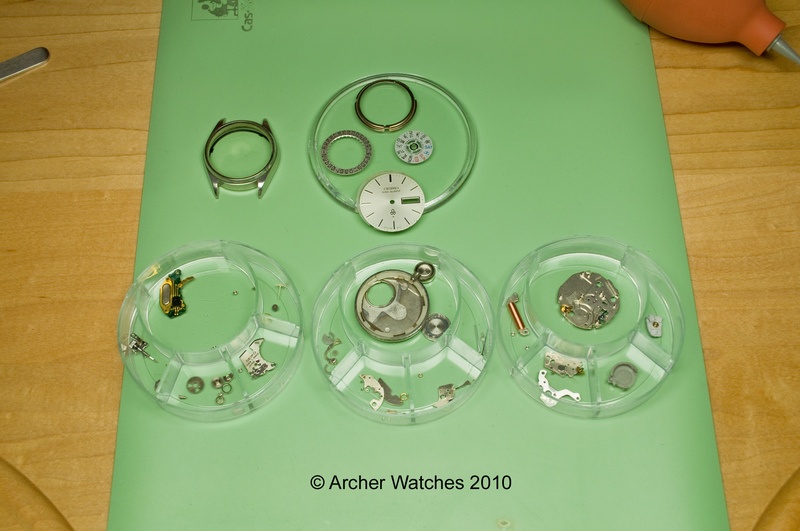 I have had quite a few watches come in over this last year with various problems, some that were quite serious and it was touch and go if the watch could be saved. 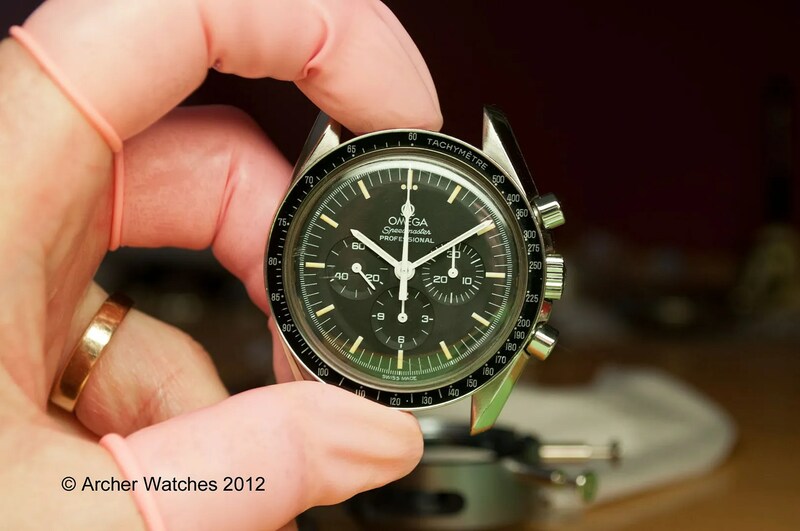 But before we look at the bad, let’s look at some good. 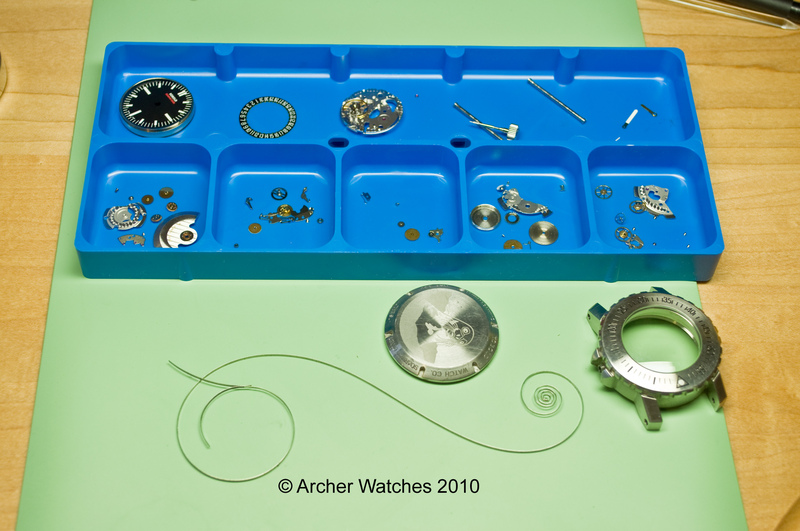 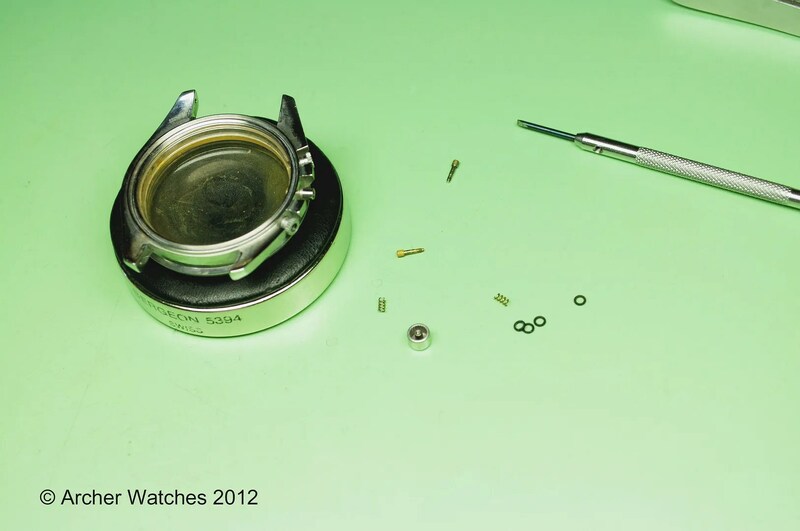 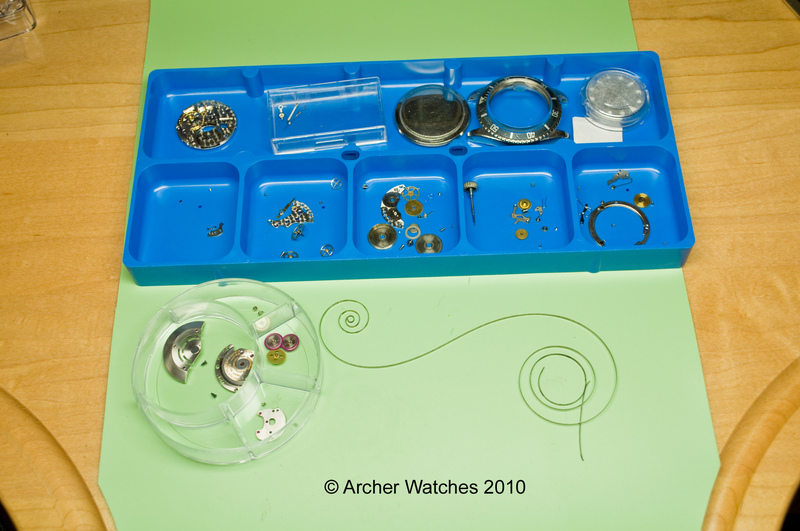 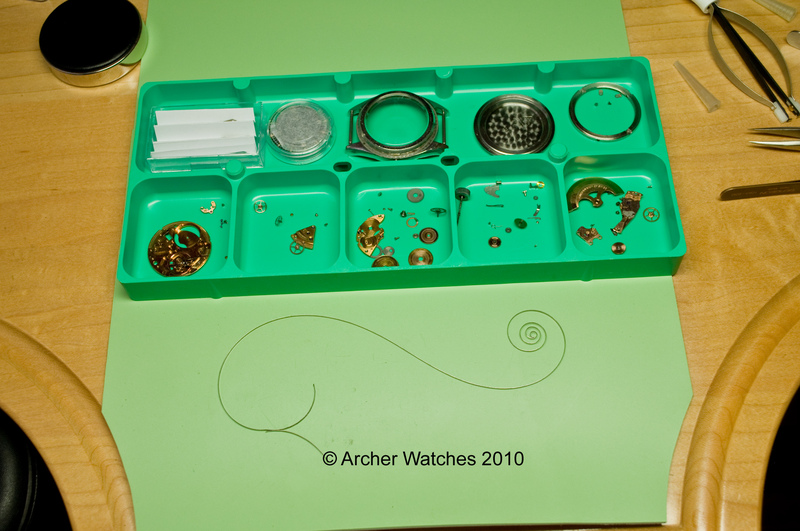 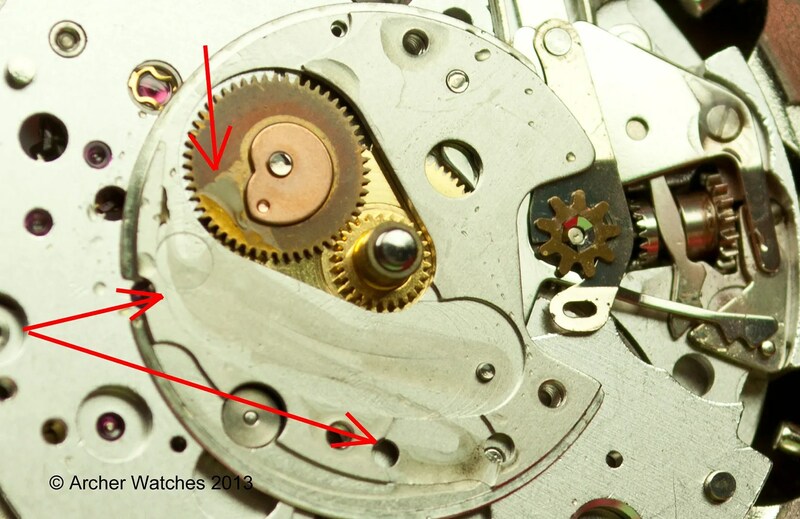 I managed to find a new shoulder screw (was not an easy thing to locate) and also a new Longines white alloy mainspring. 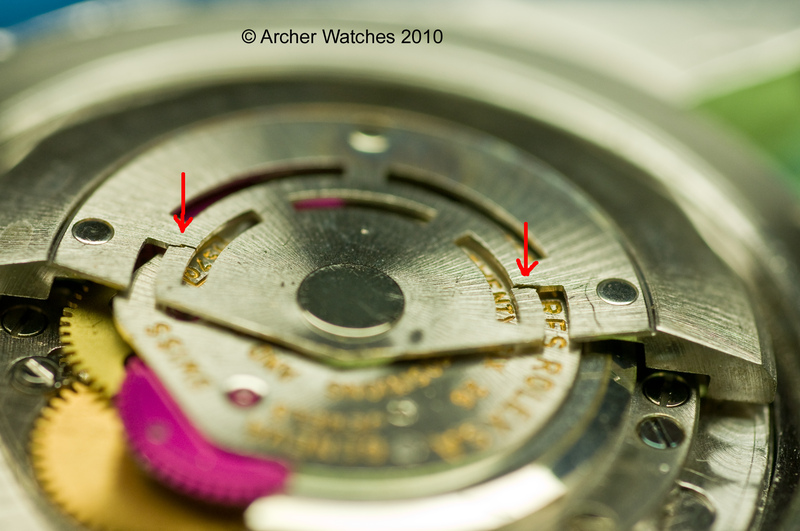 I could not locate a new minute counter jumper, so I would have to try to straighten that and hope that it didn’t snap. 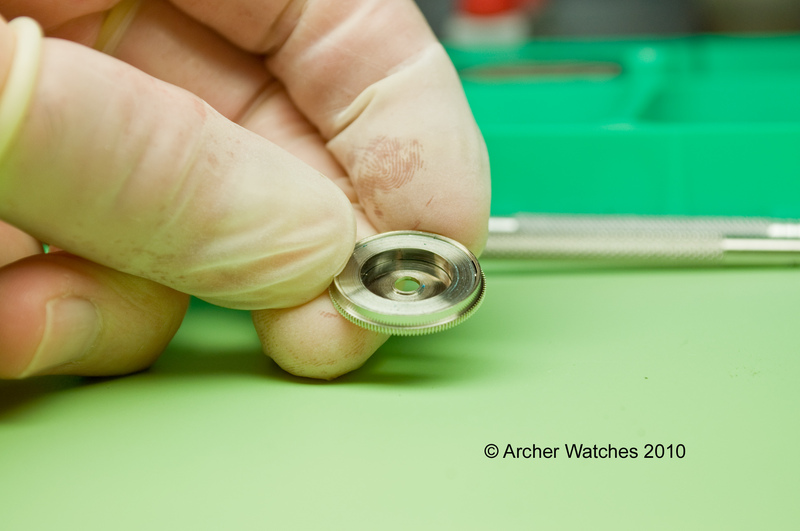 And since the minute counter jumper cross section is very thin like a balance spring, I used the same techniques for shaping it that I would when truing a balance spring in the flat. 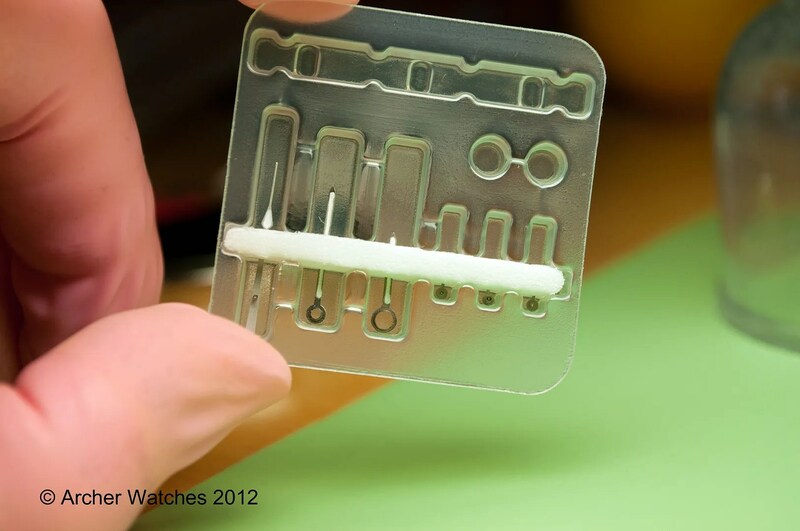 So #5 tweezers and careful manpulation had it back in it’s original shape, and thankfully it stayed intact. 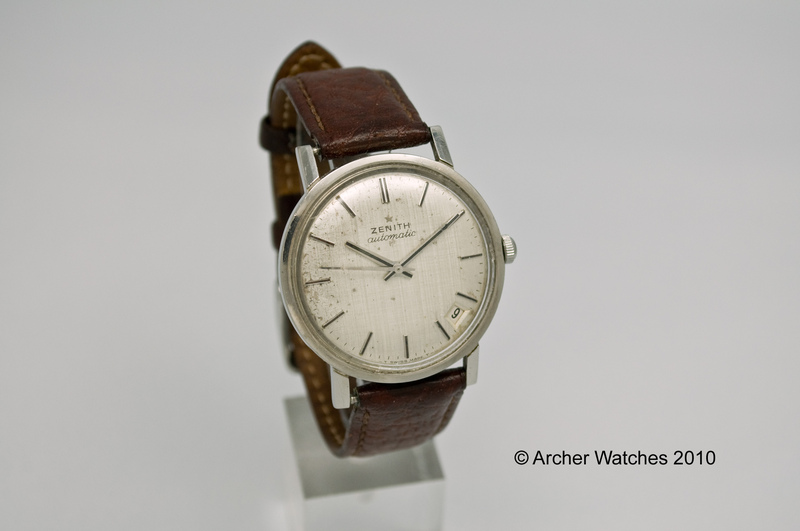 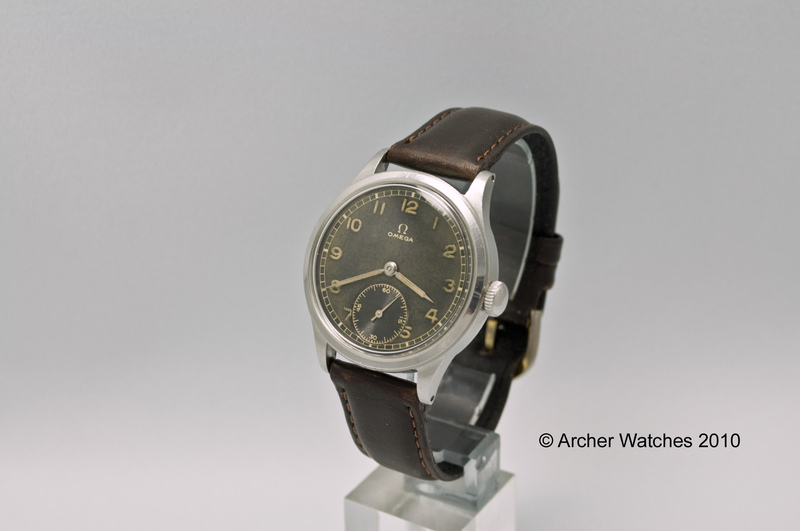 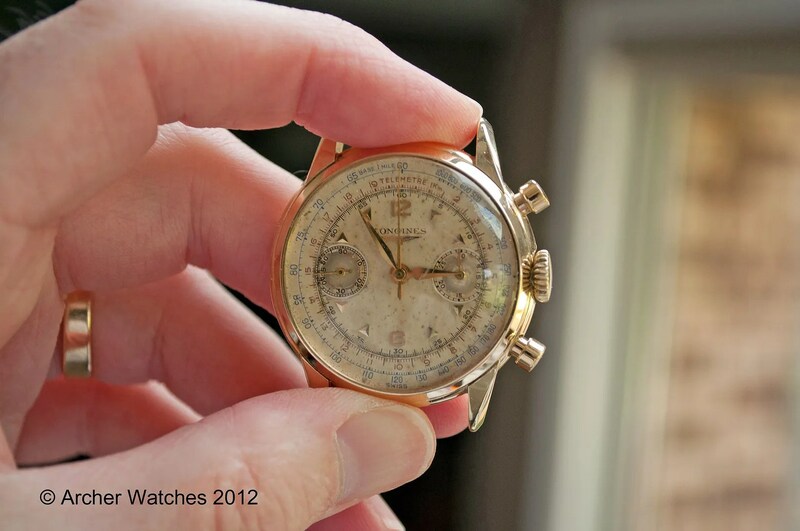 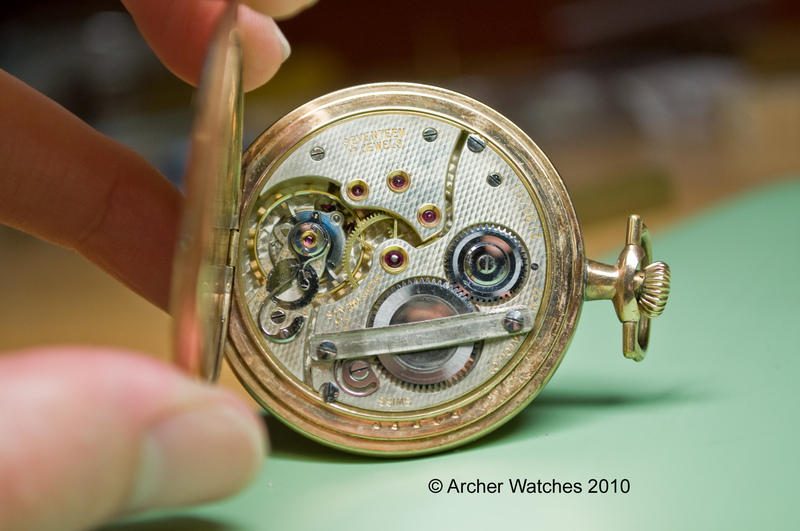 It’s quite a beautiful movement, and certainly from a time when Longines was one of the best. 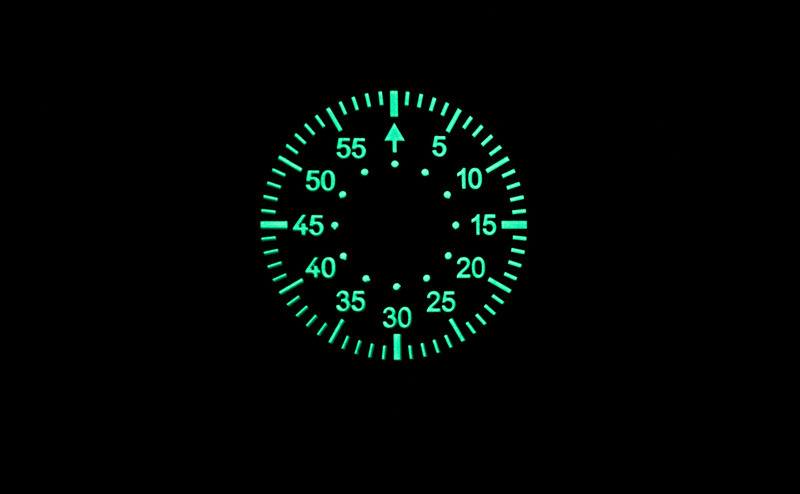 Here is a video that shows the movement. 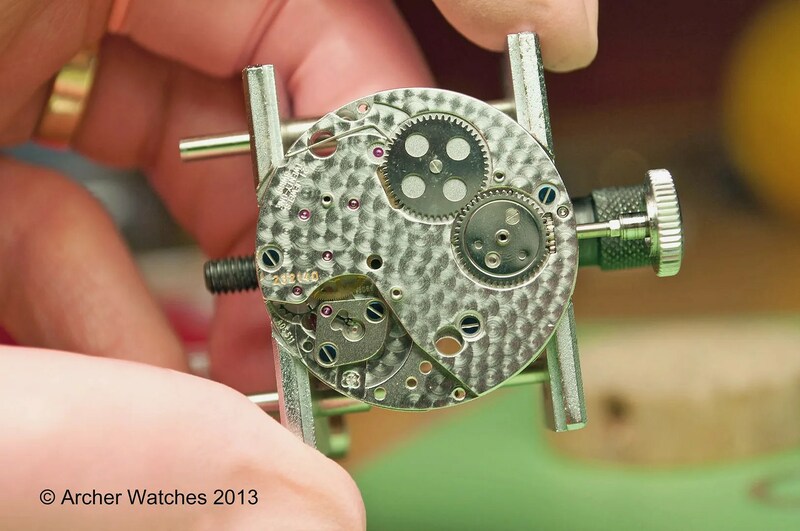 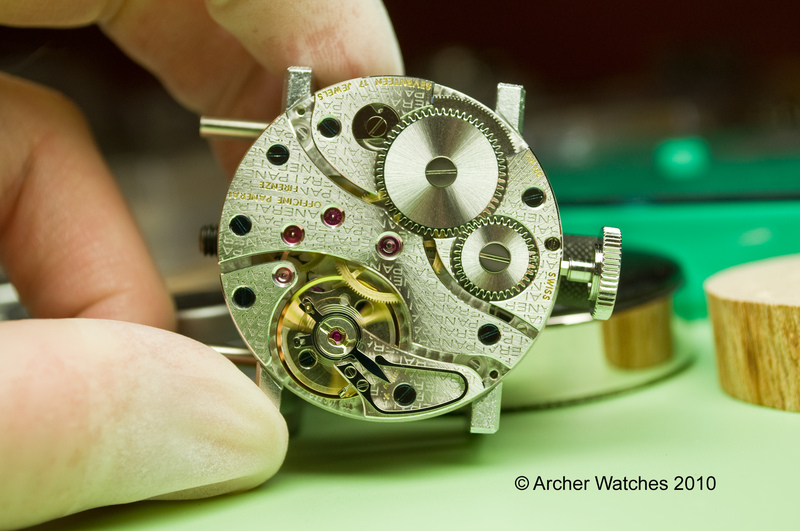 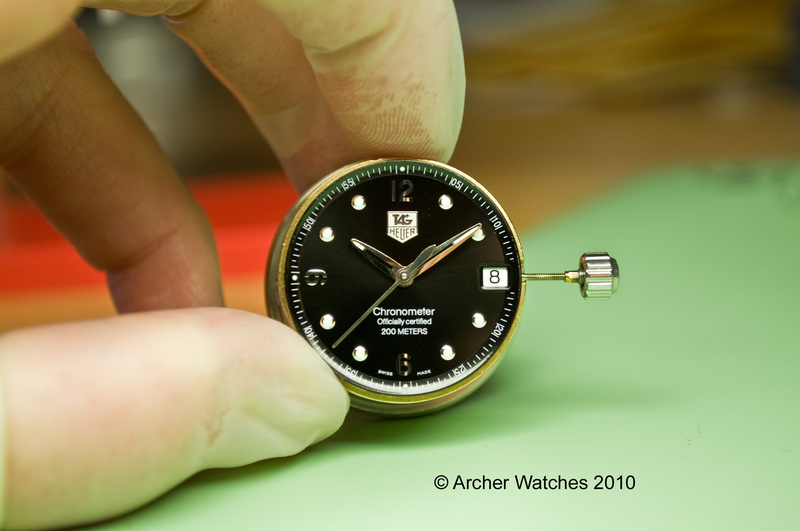 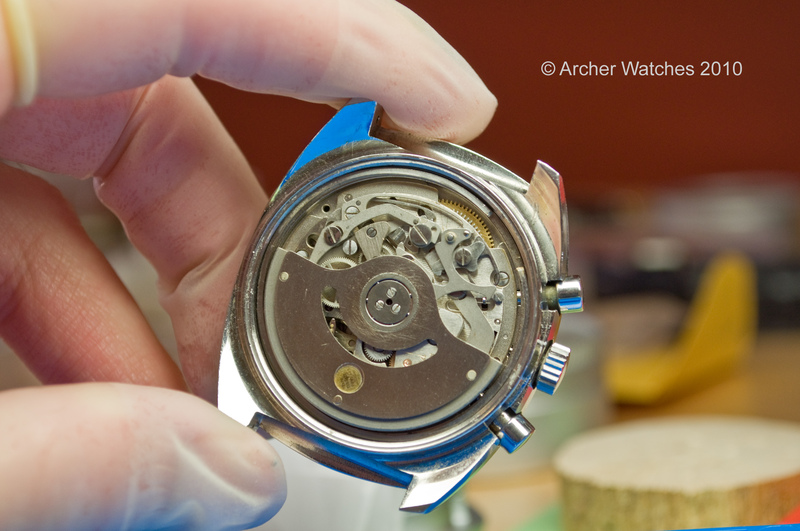 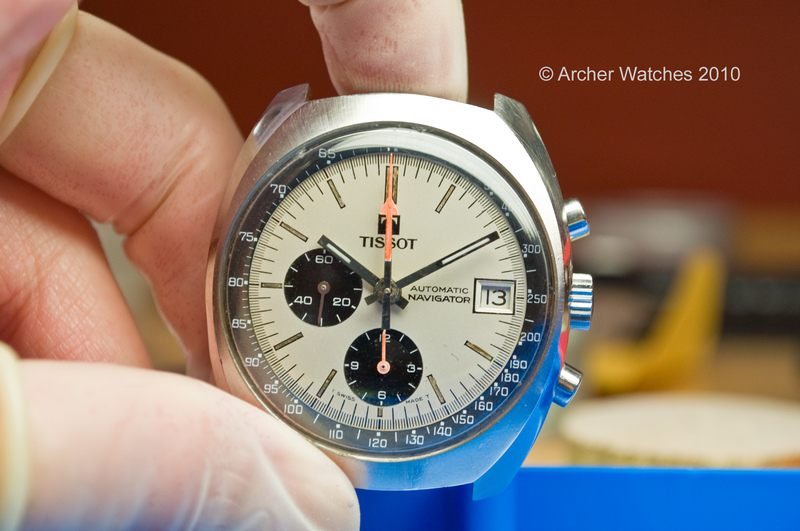 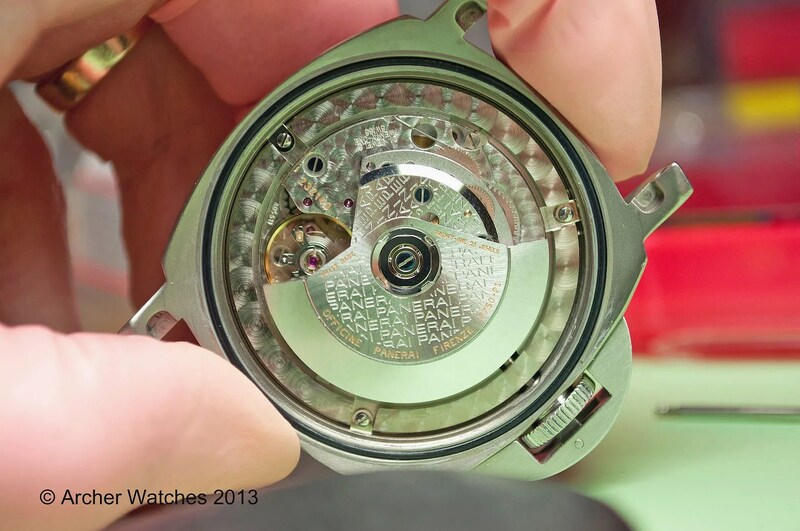 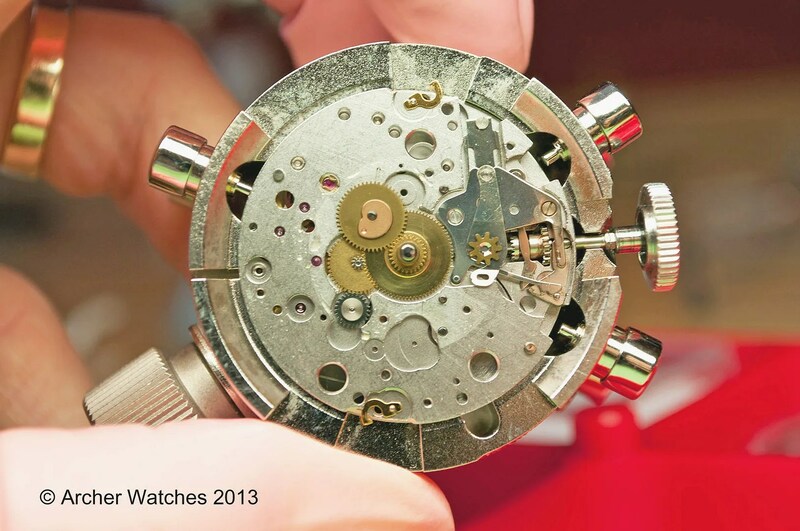 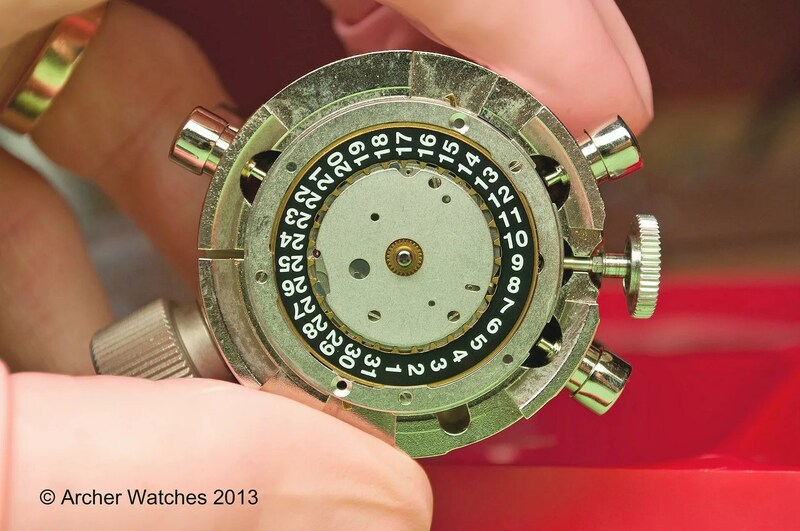 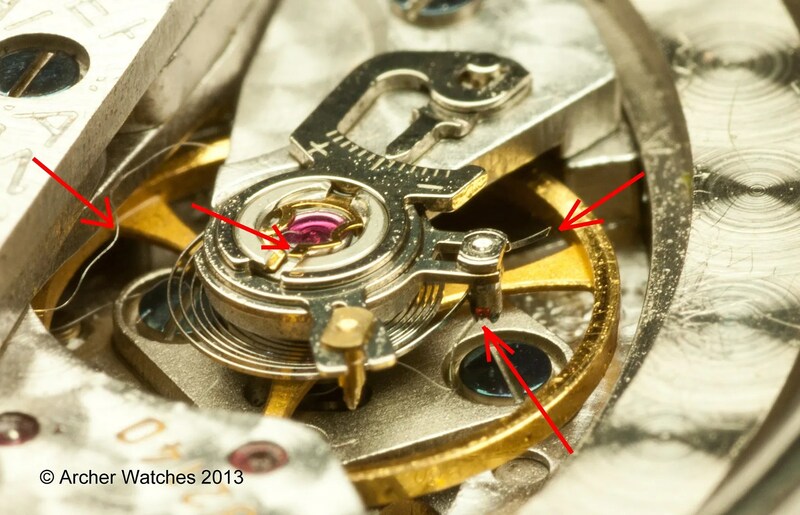 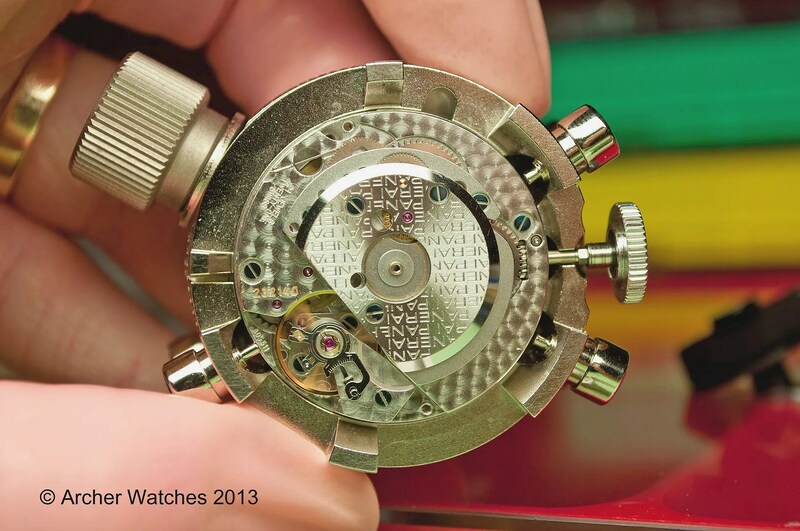 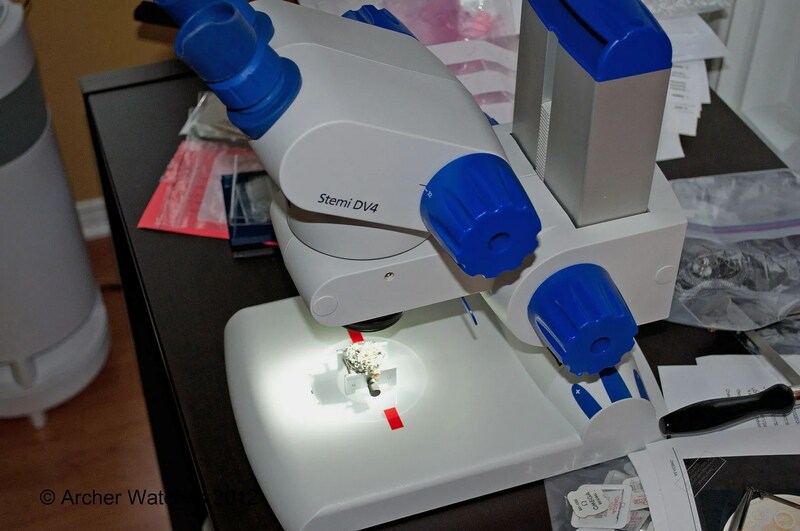 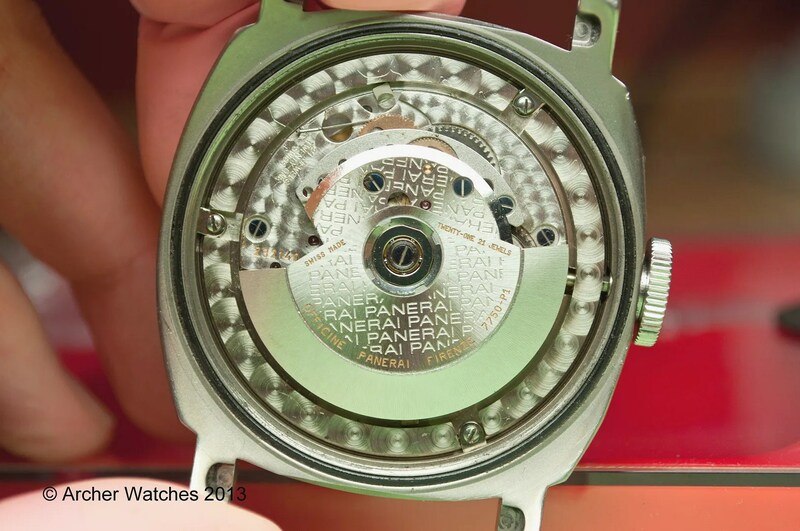 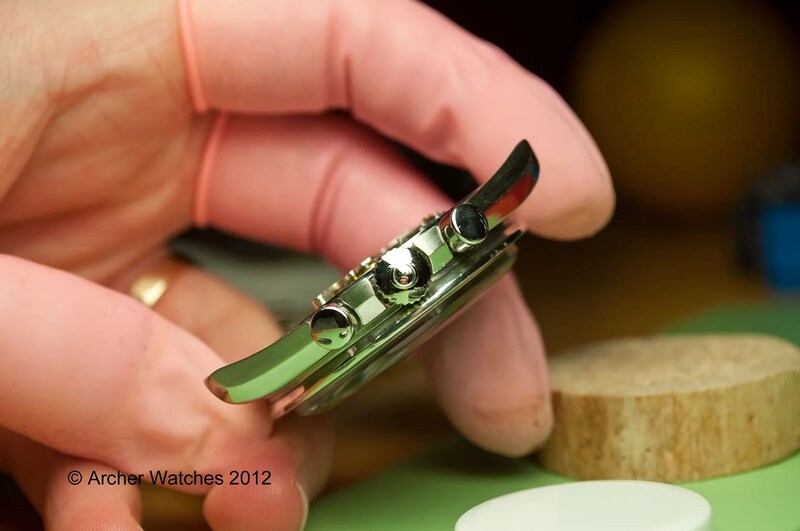 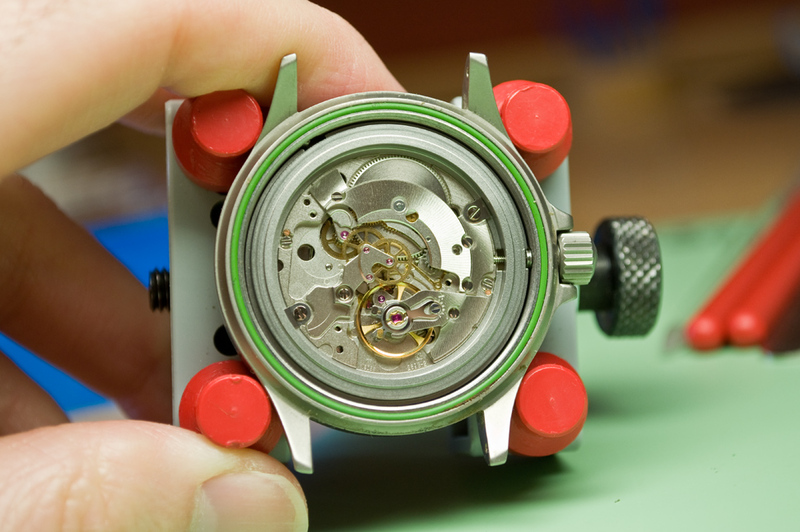 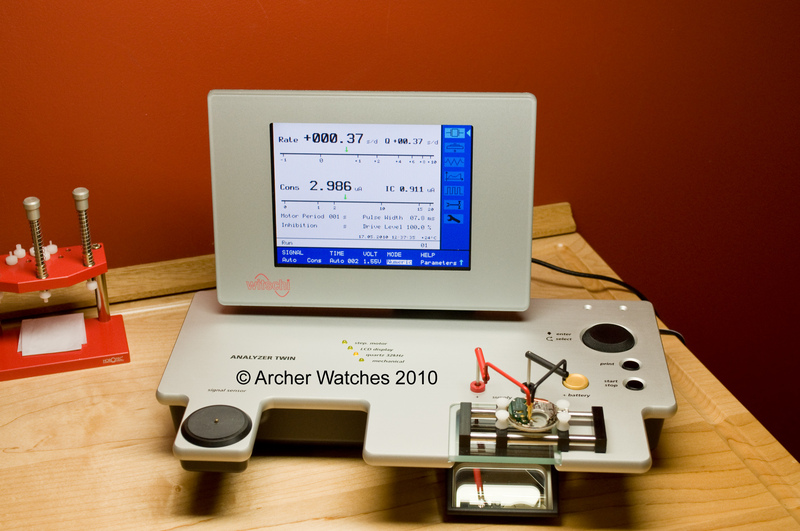 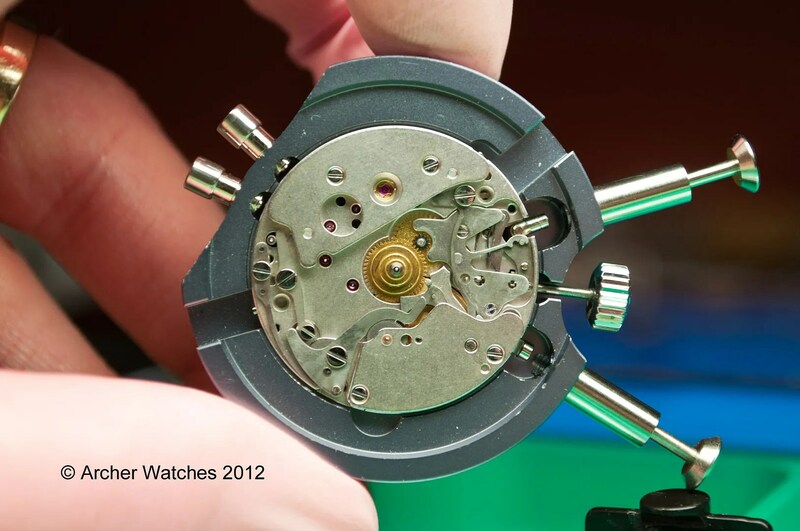 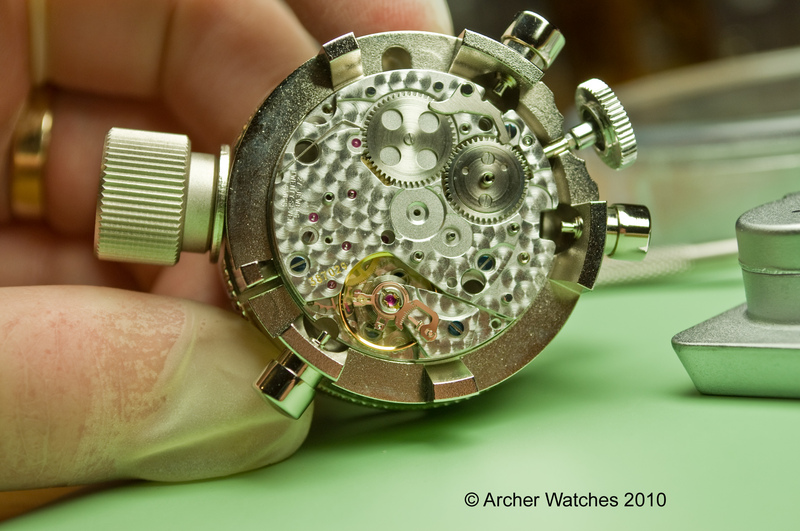 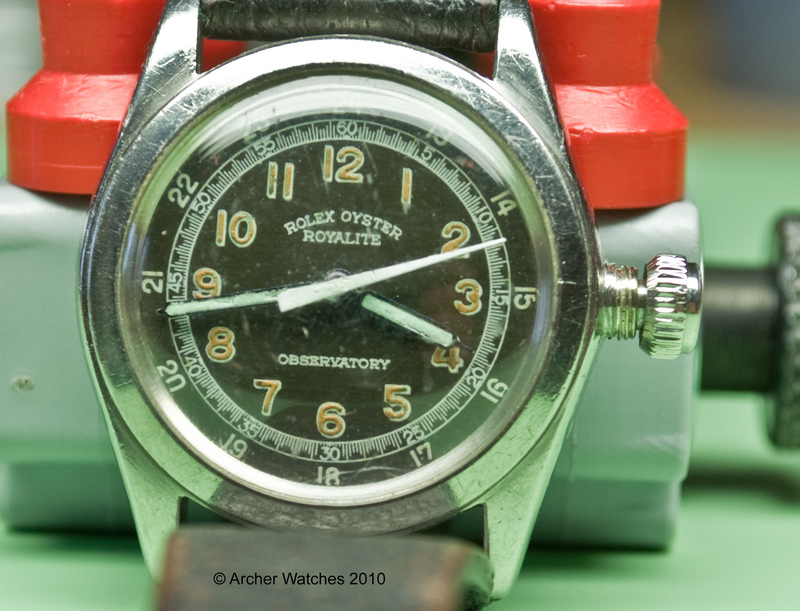 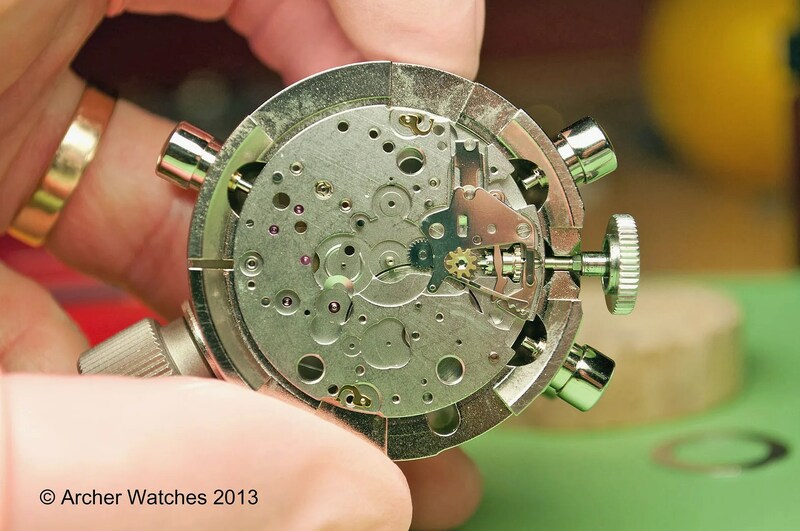 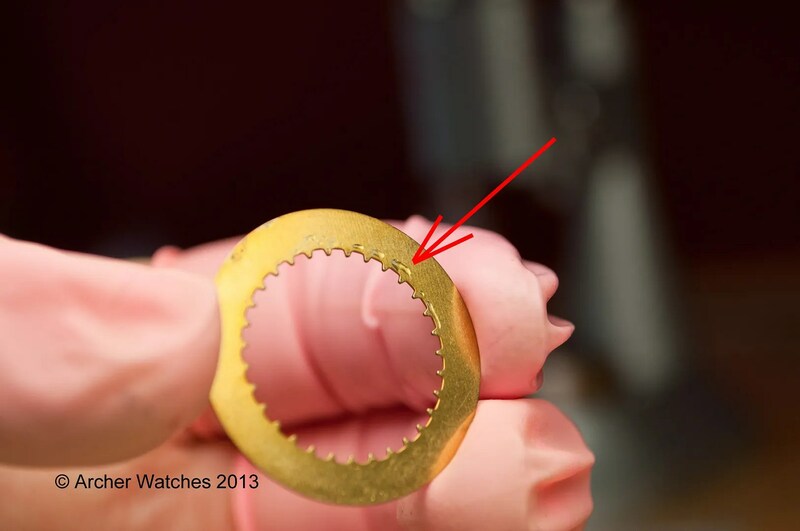 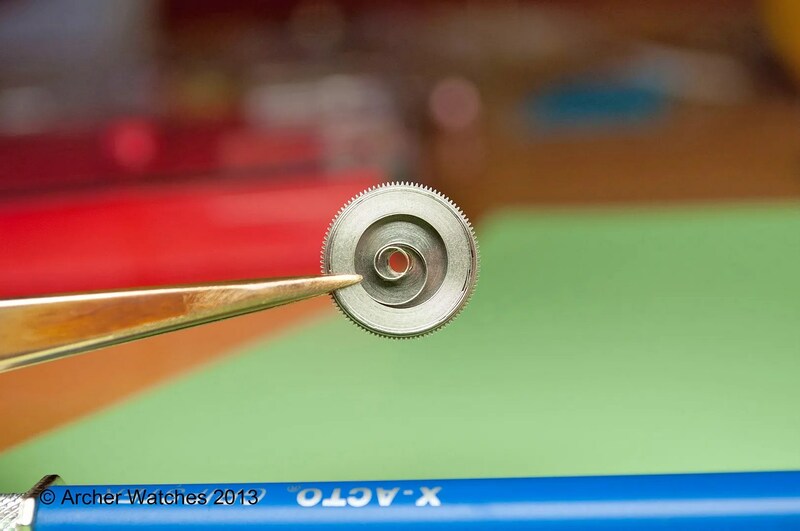 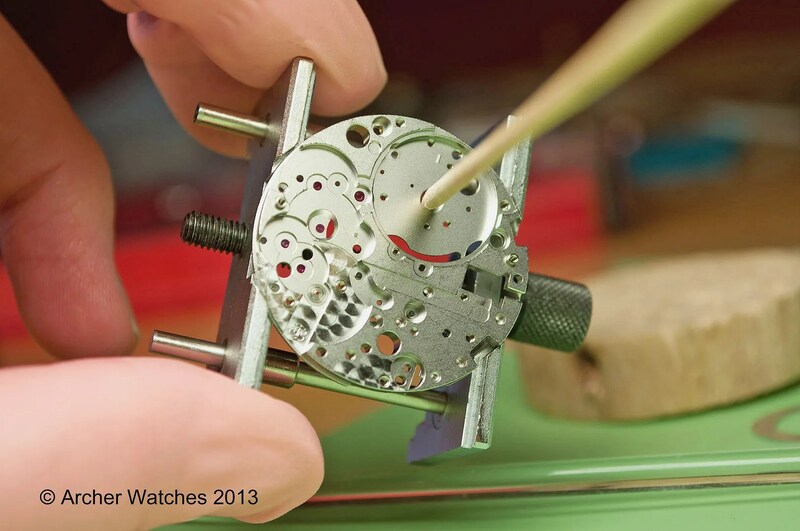 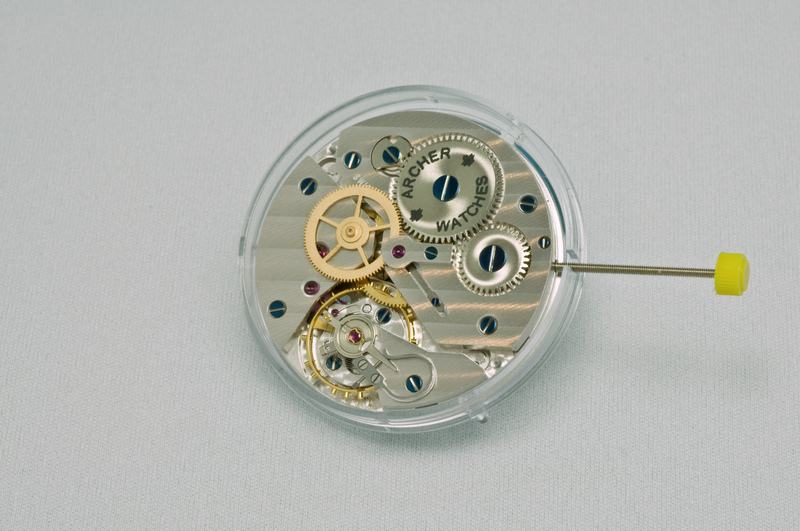 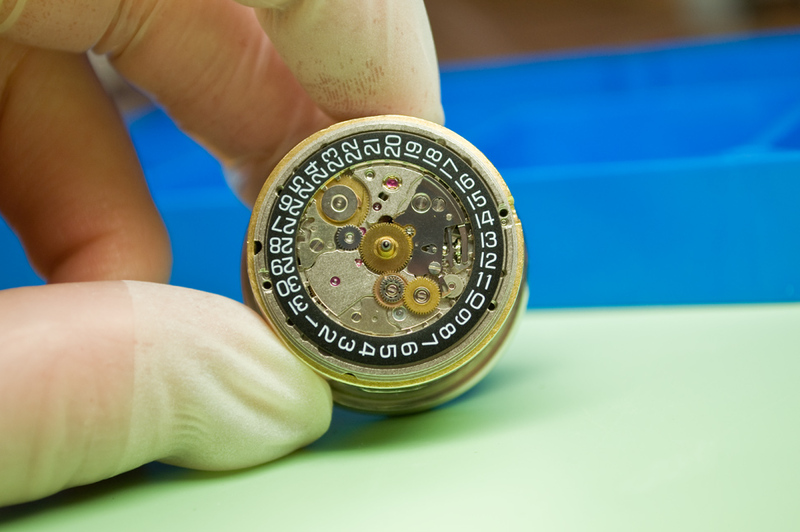 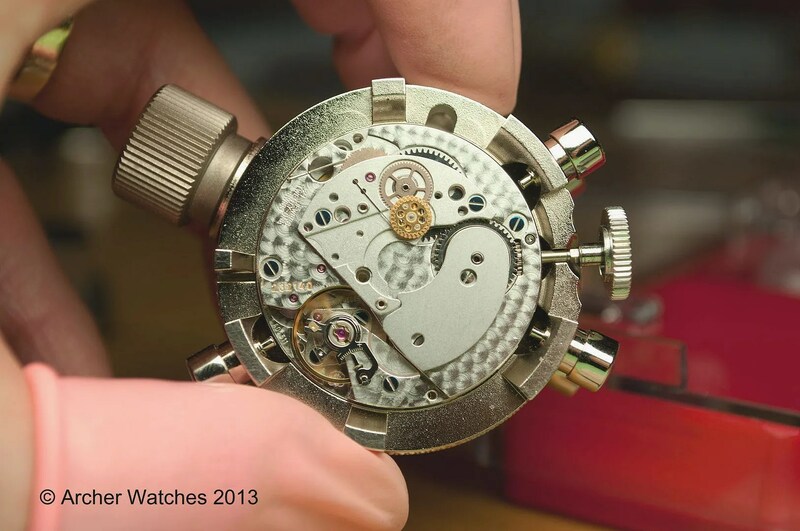 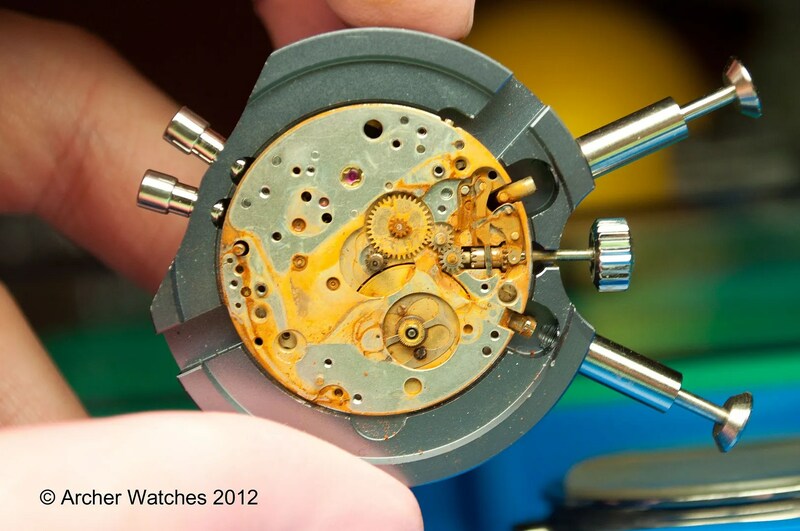 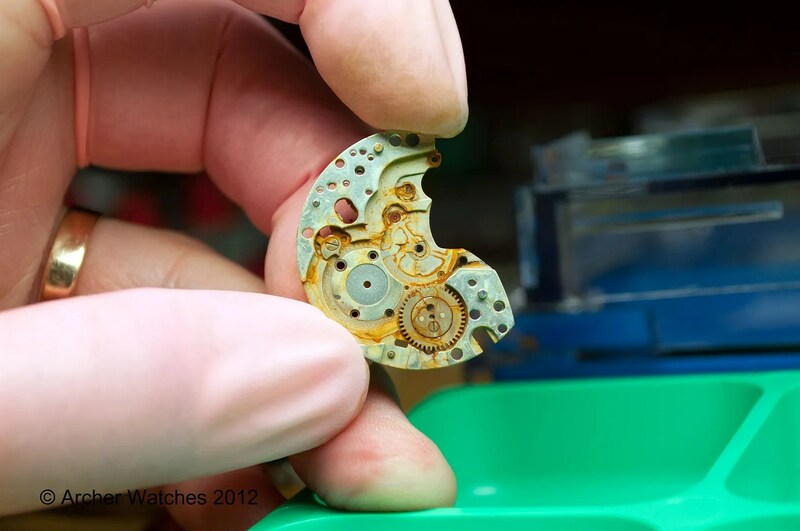 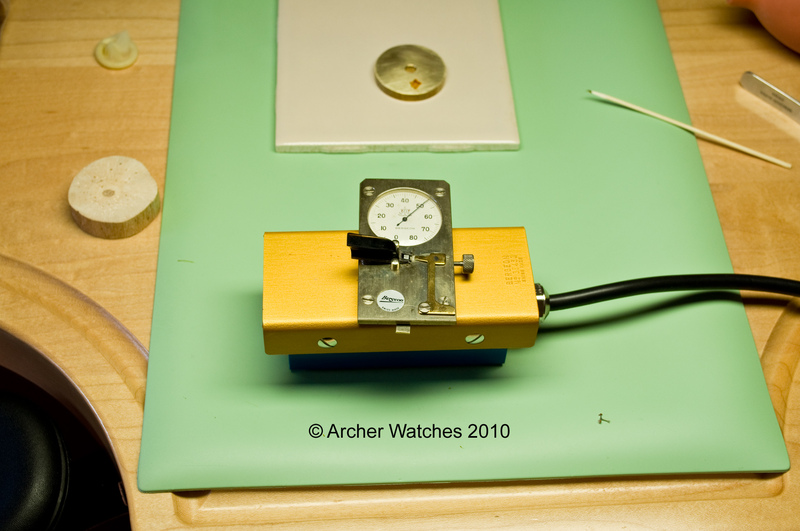 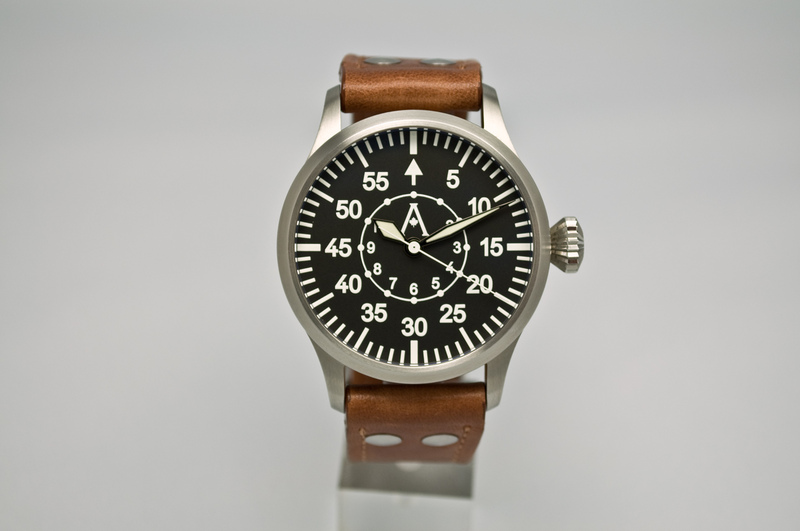 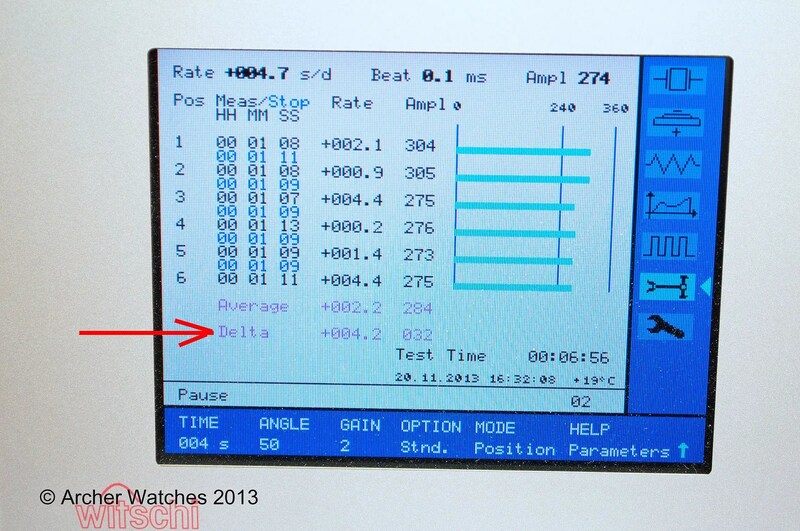 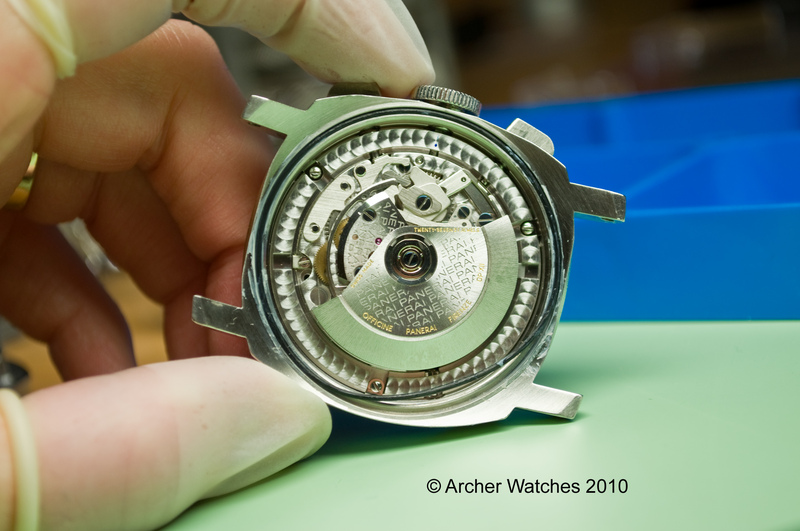 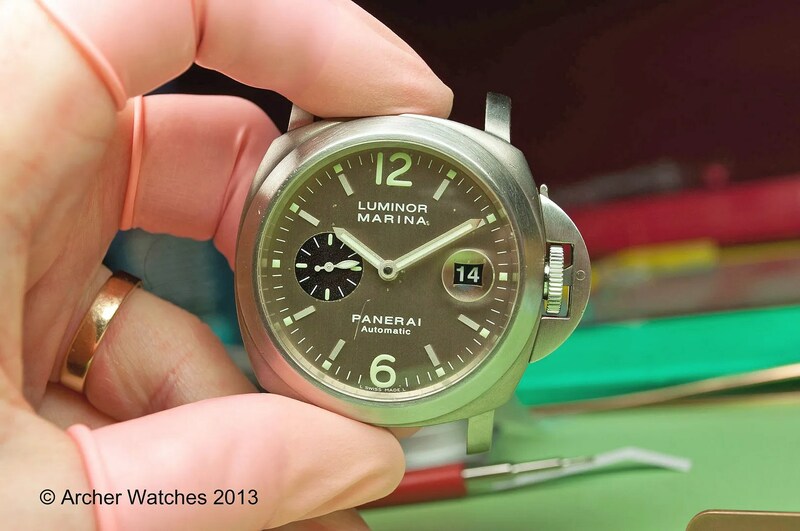 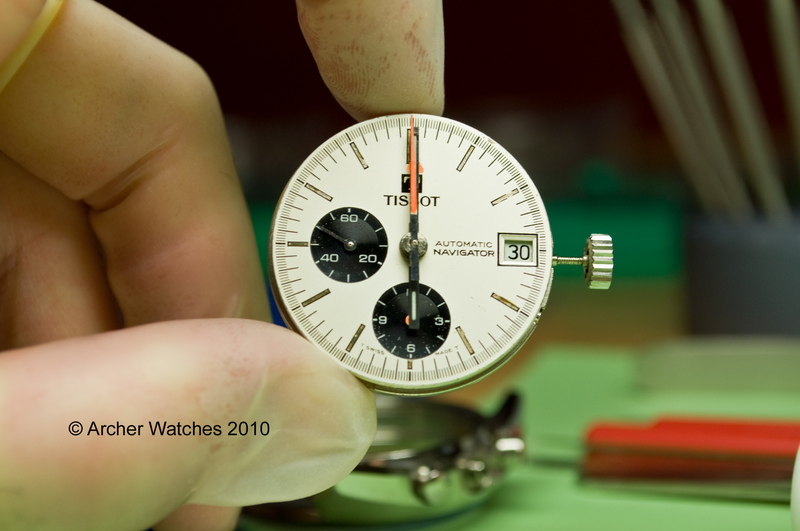 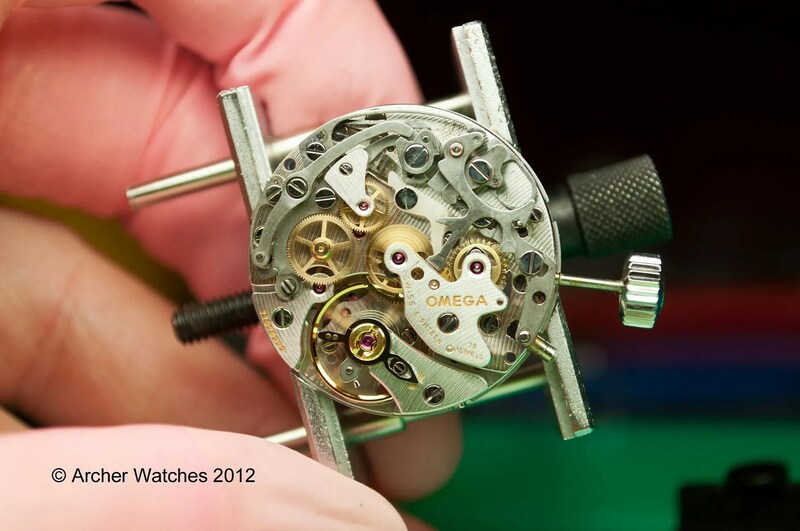 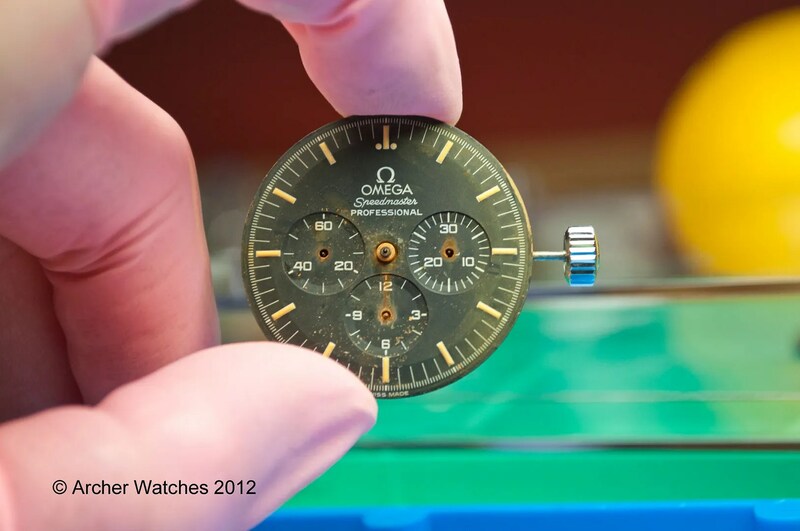 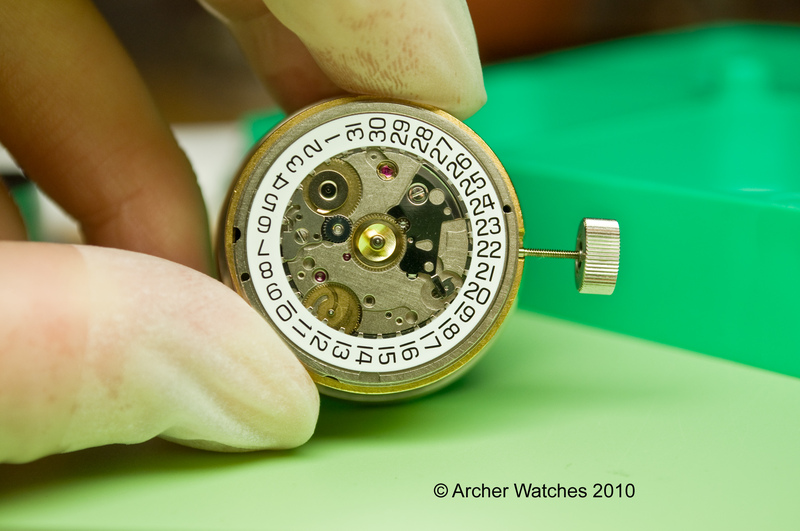 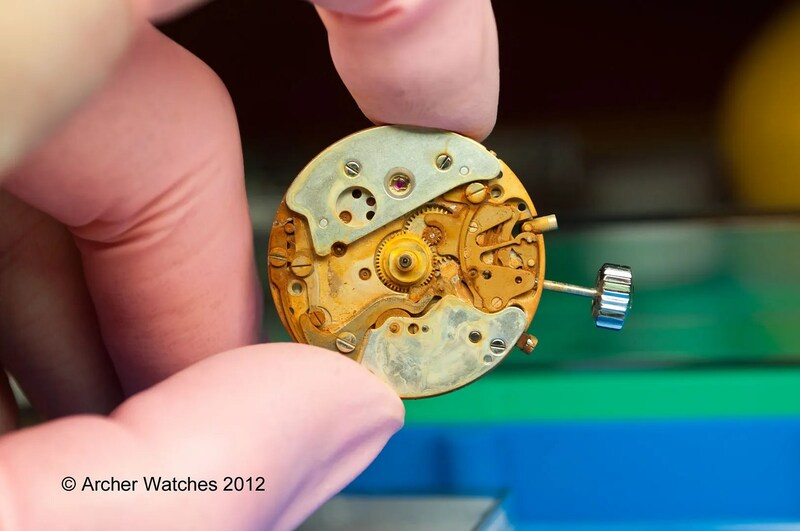 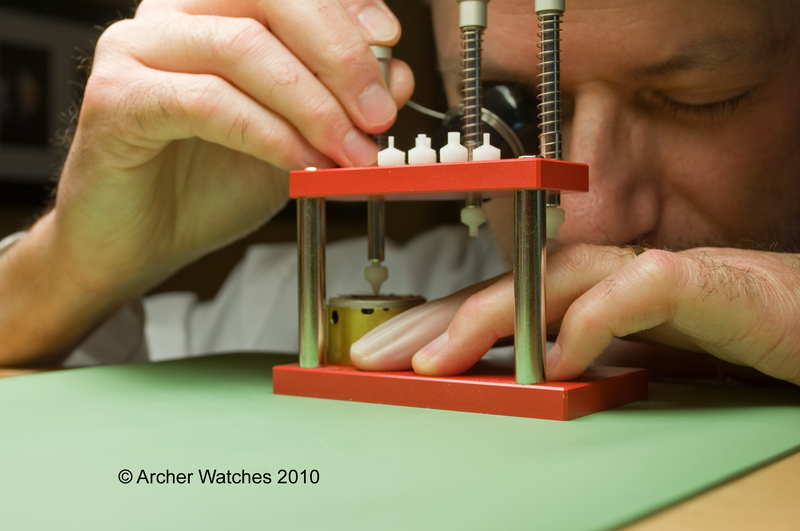 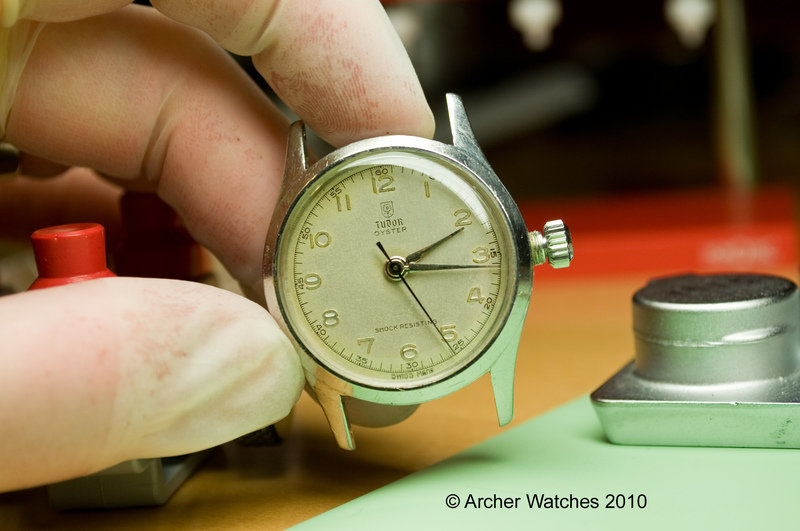 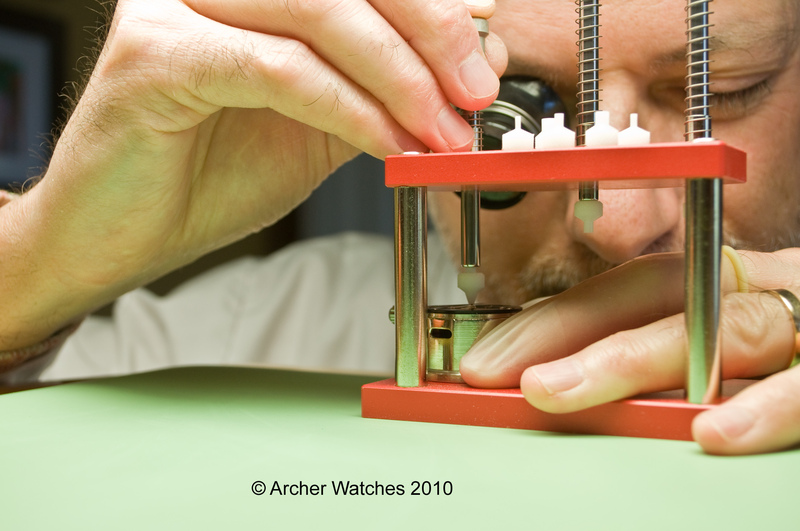 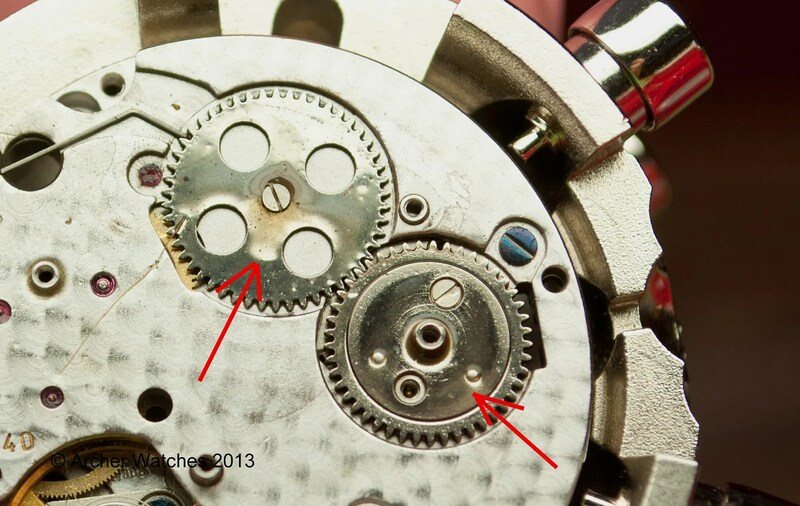 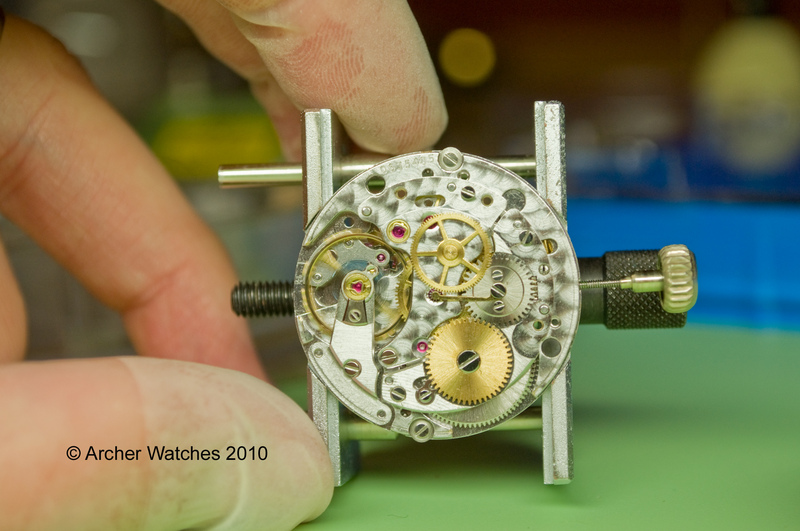 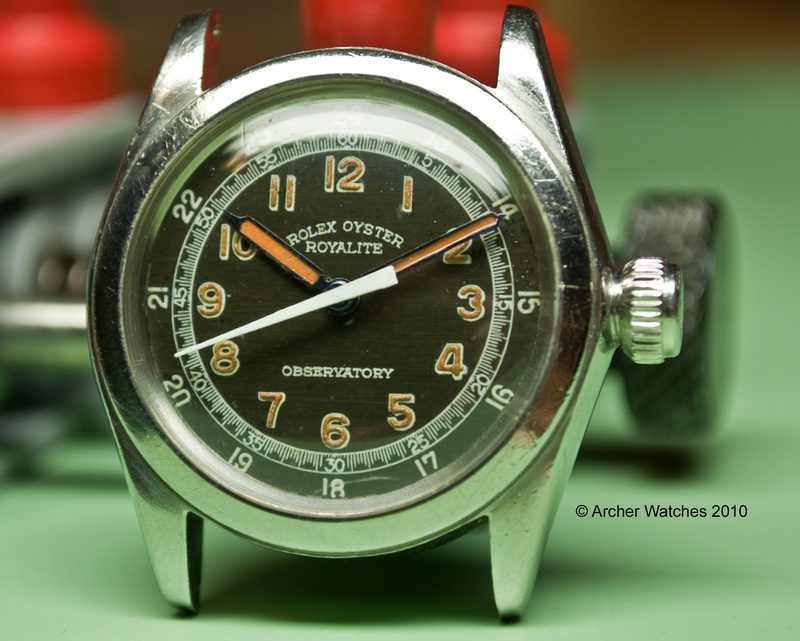 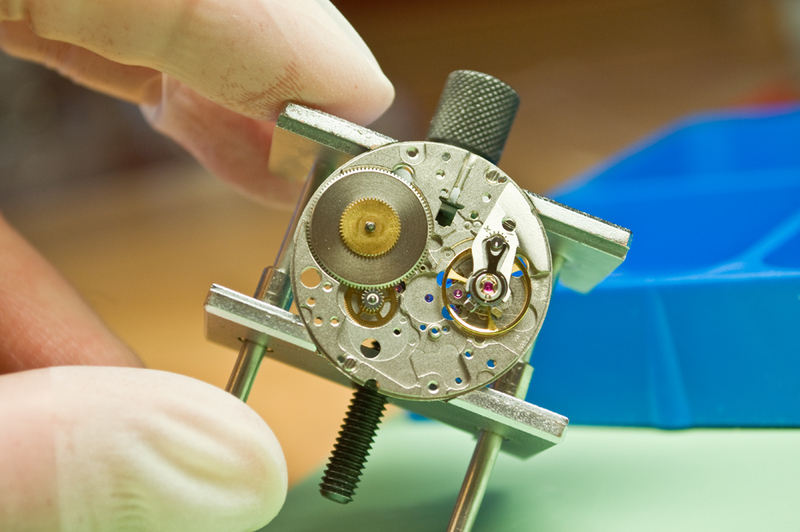 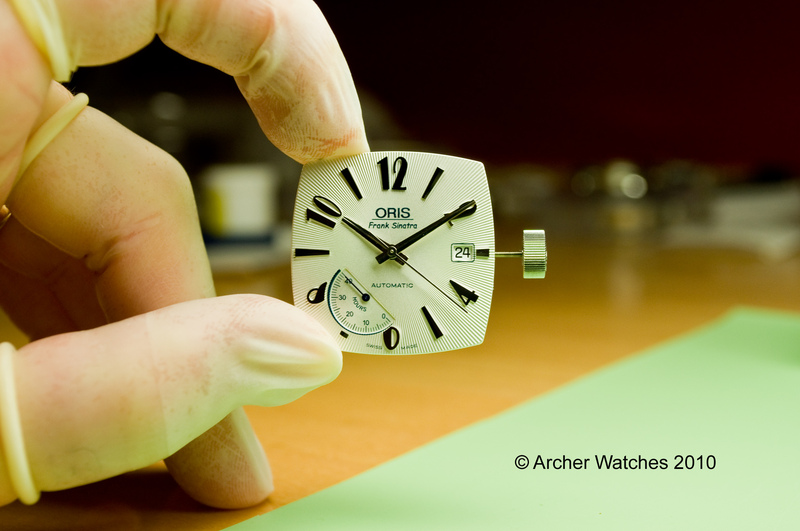 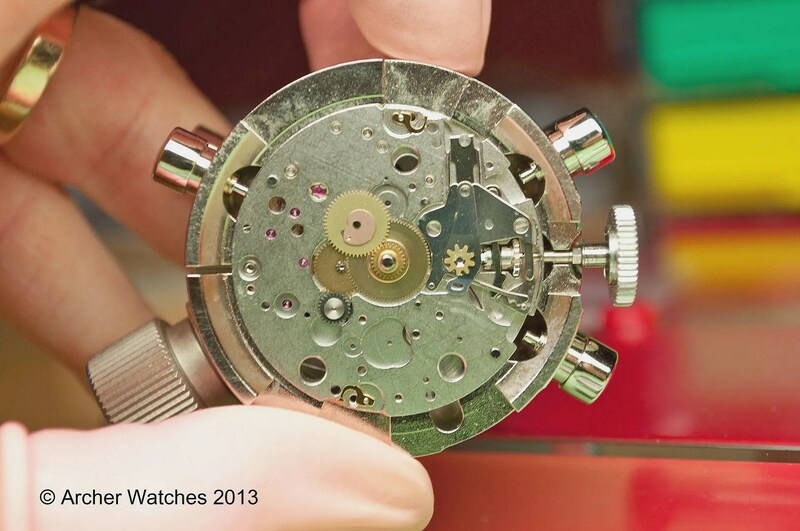 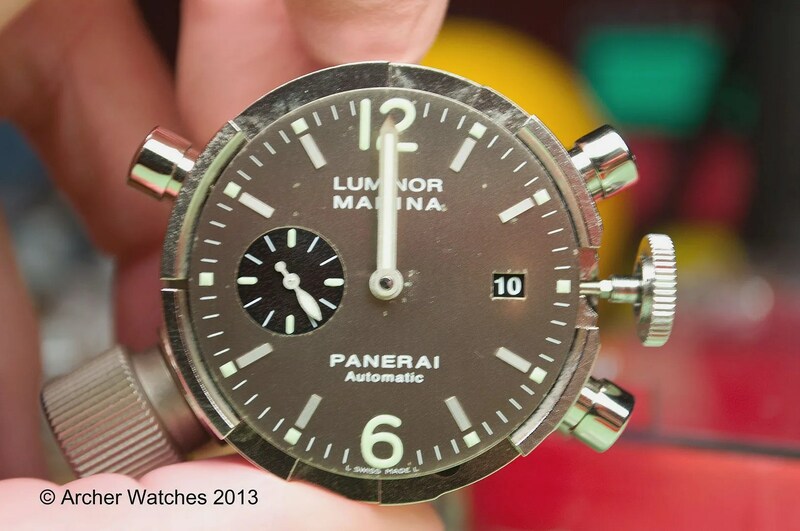 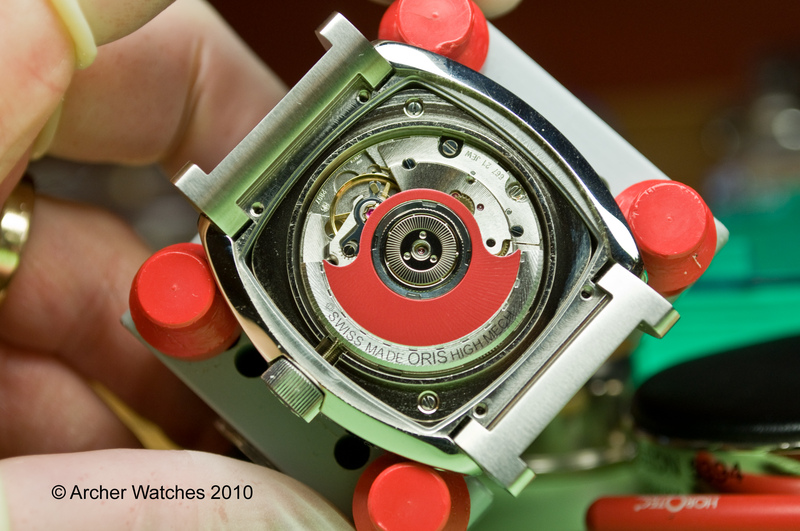 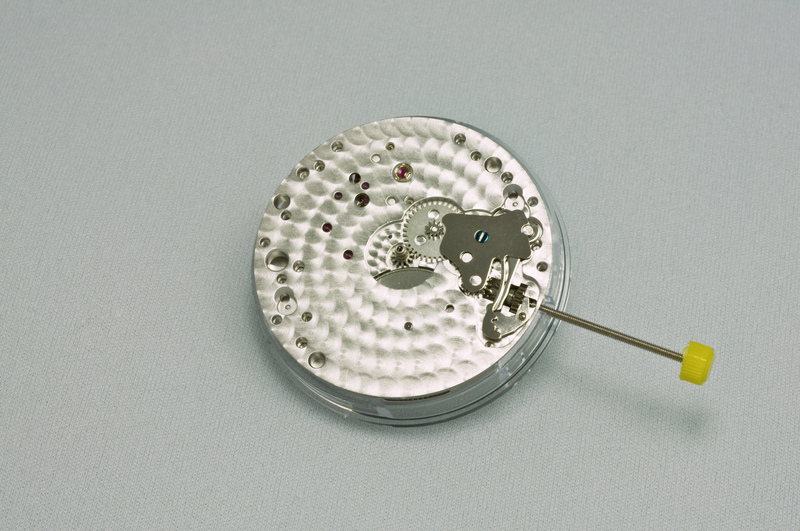 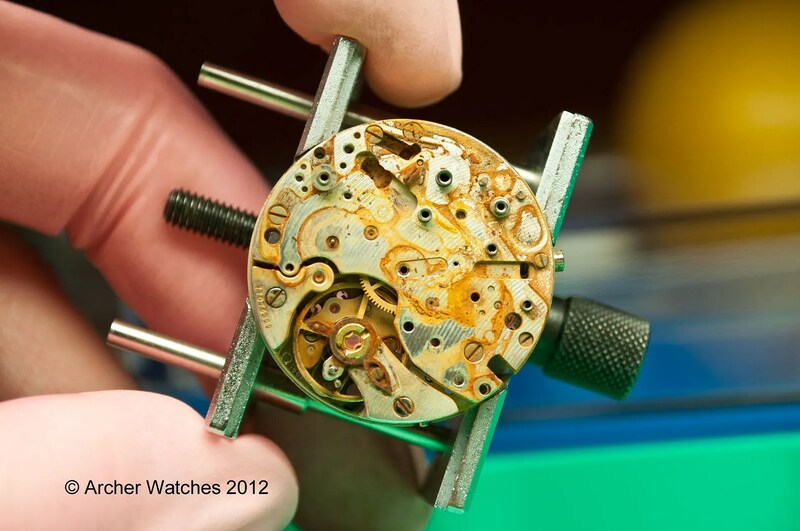 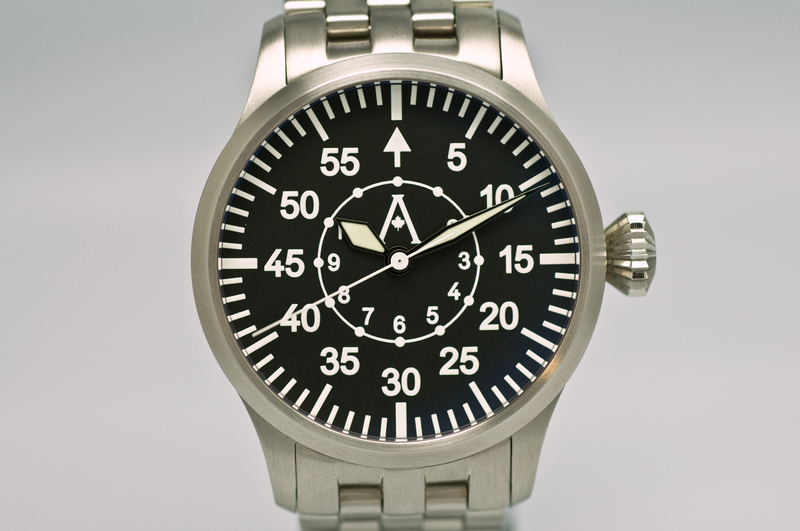 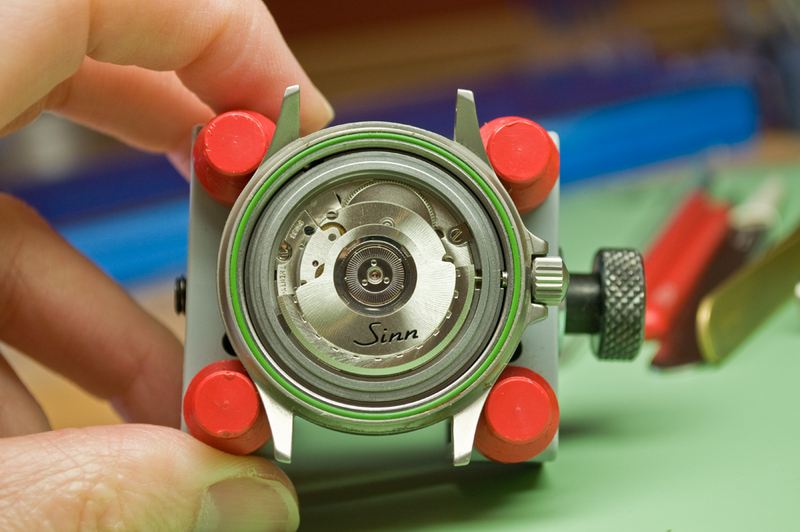 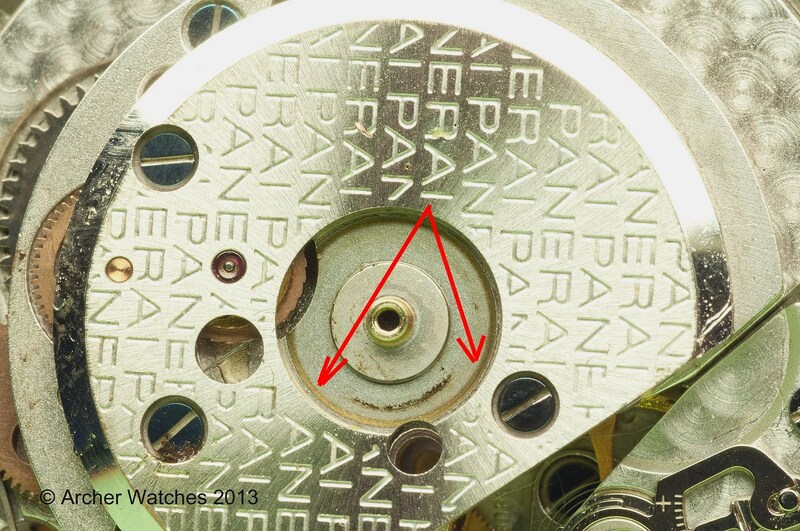 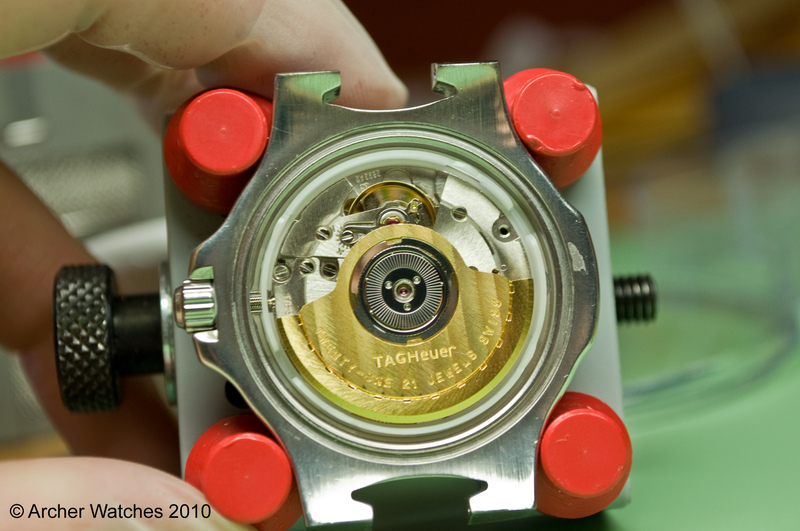 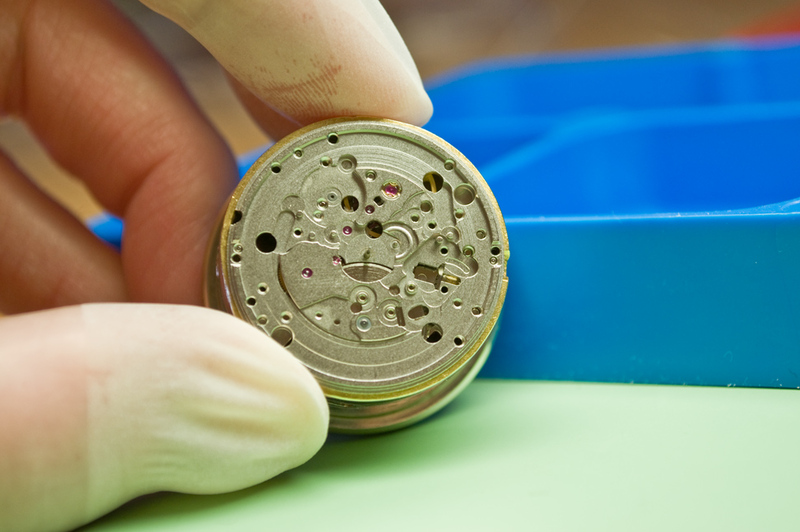 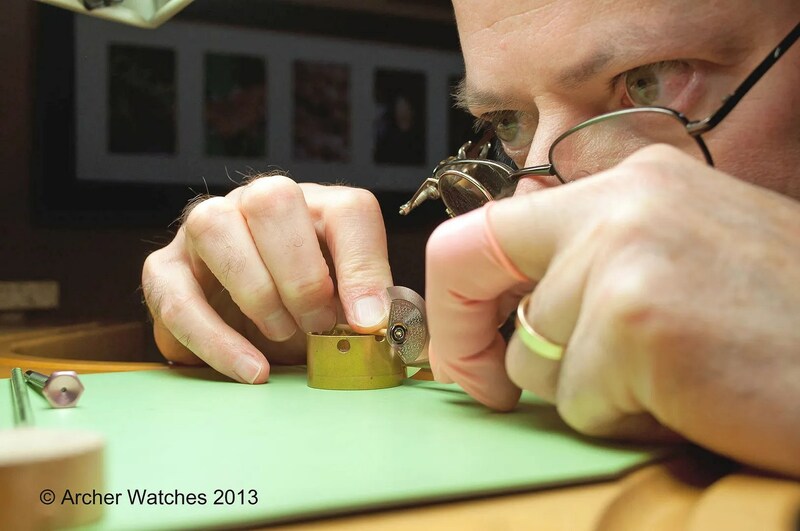 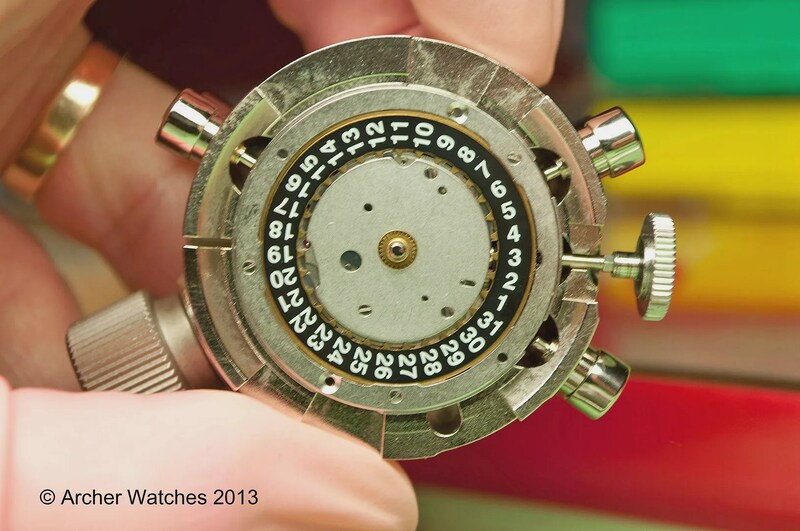 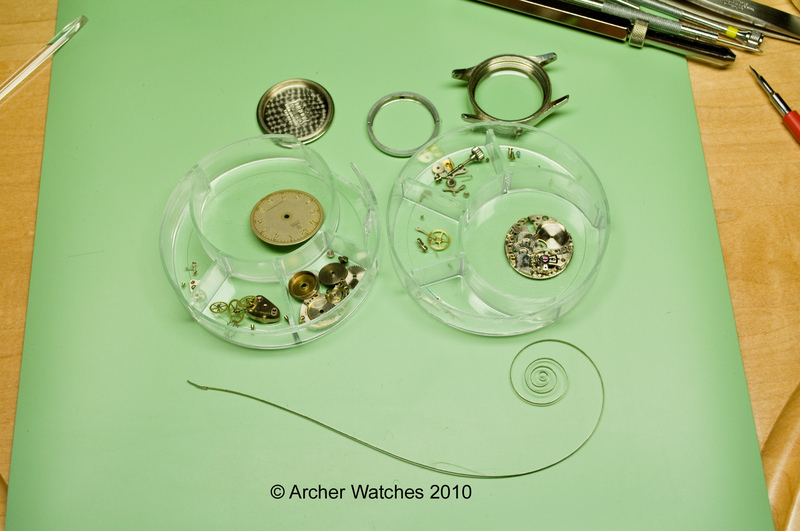 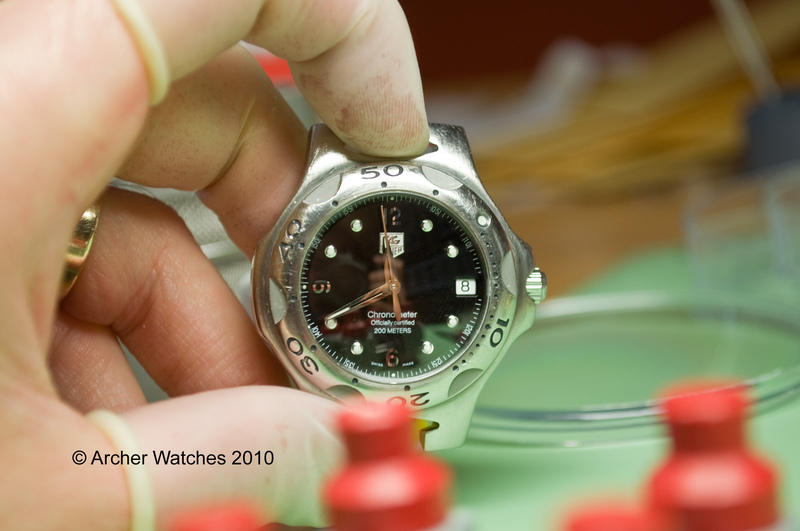 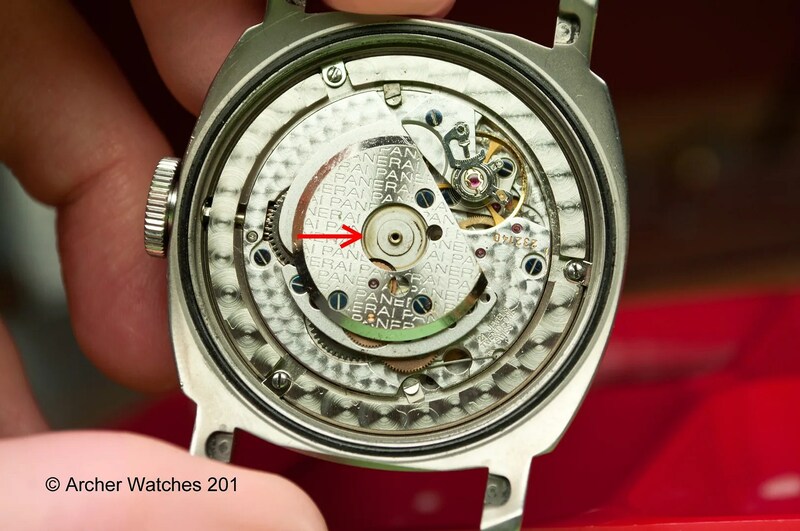 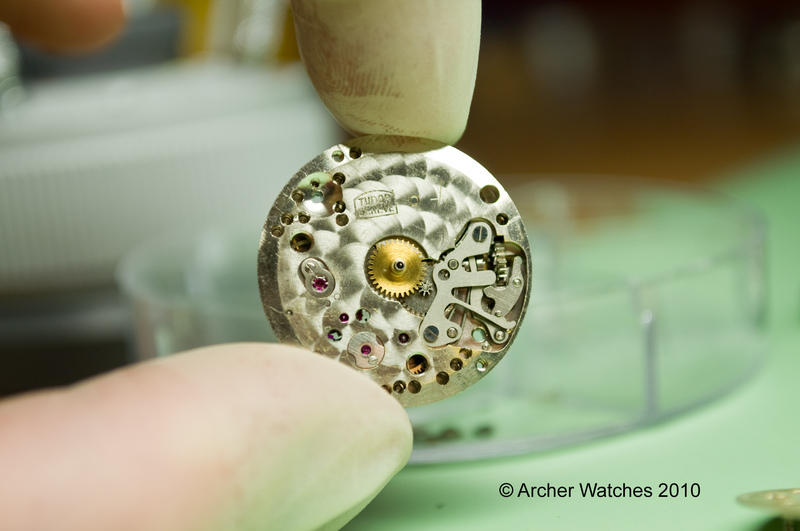 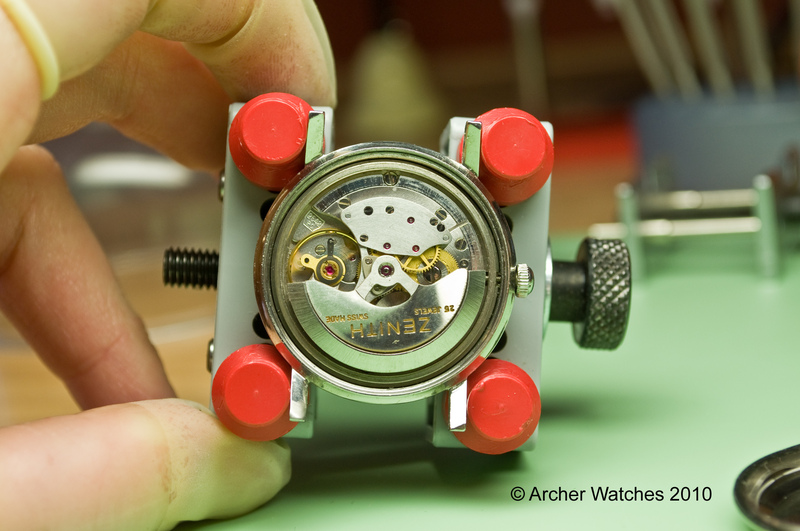 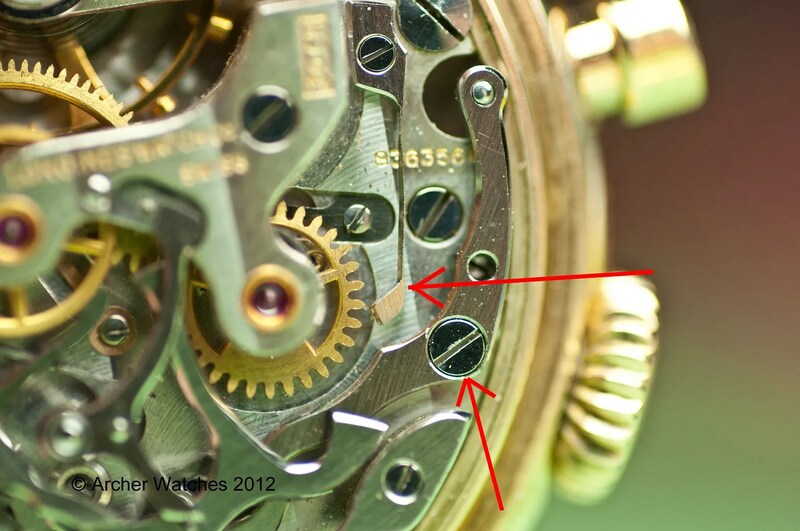 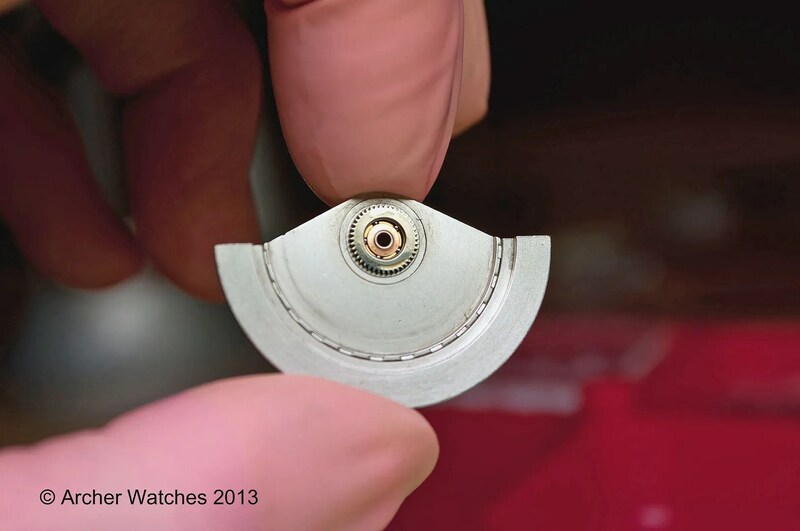 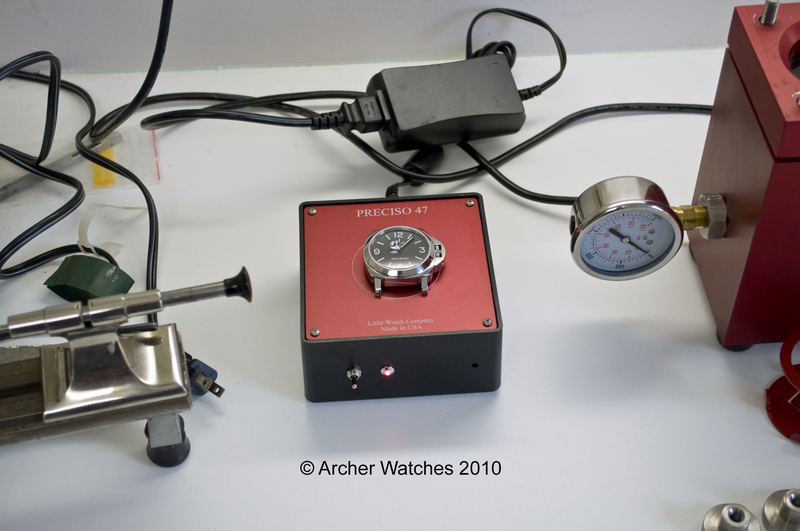 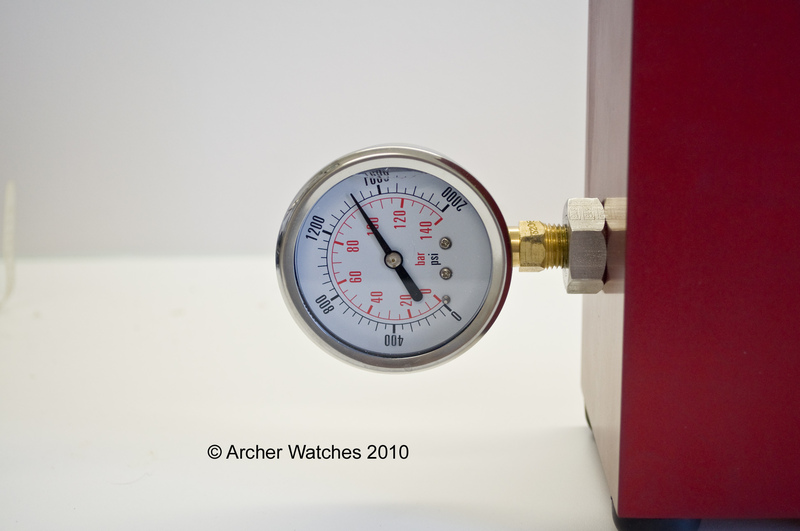 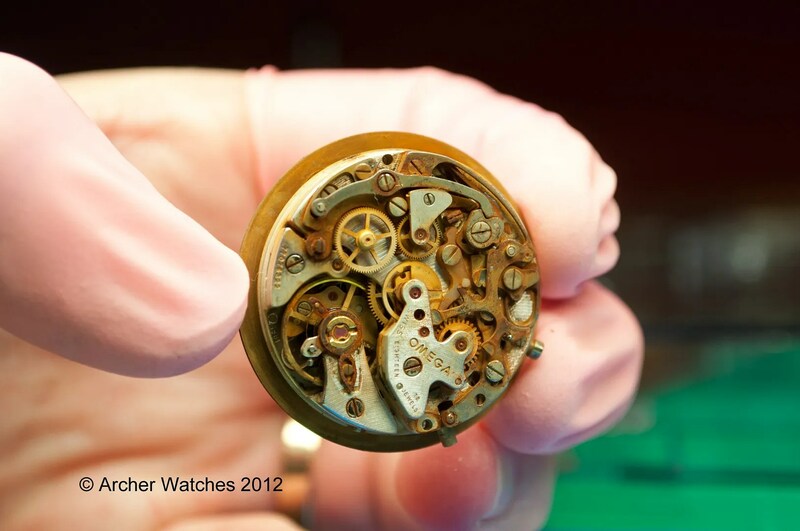 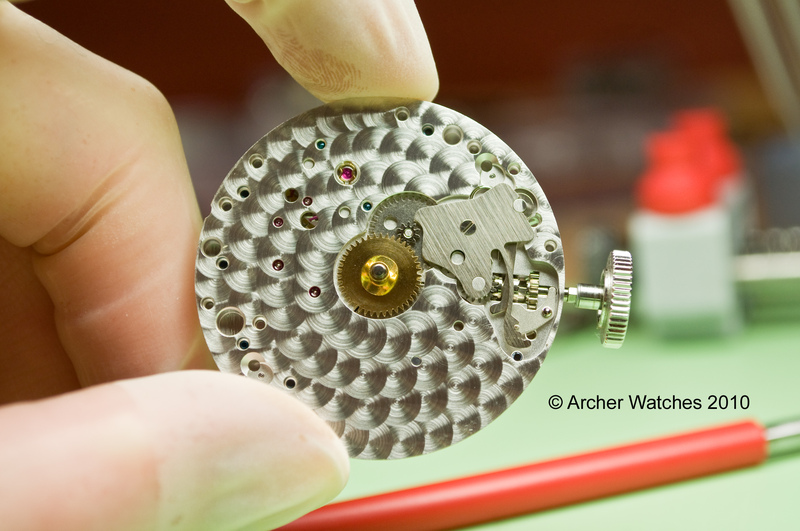 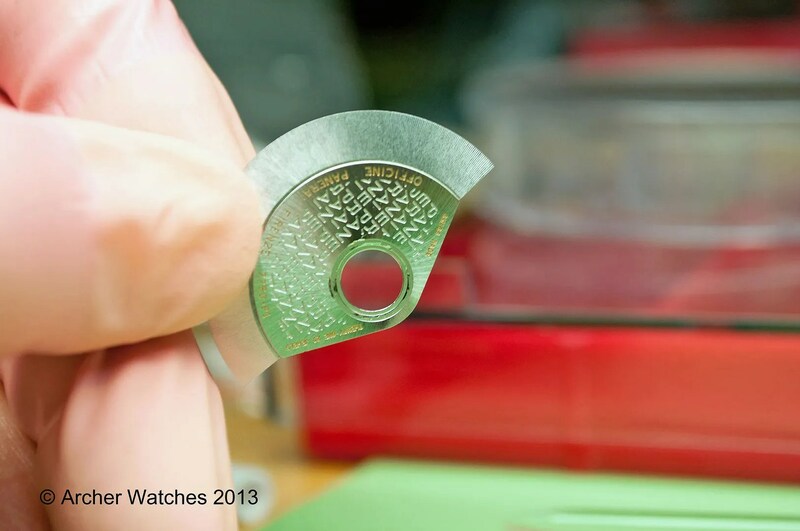 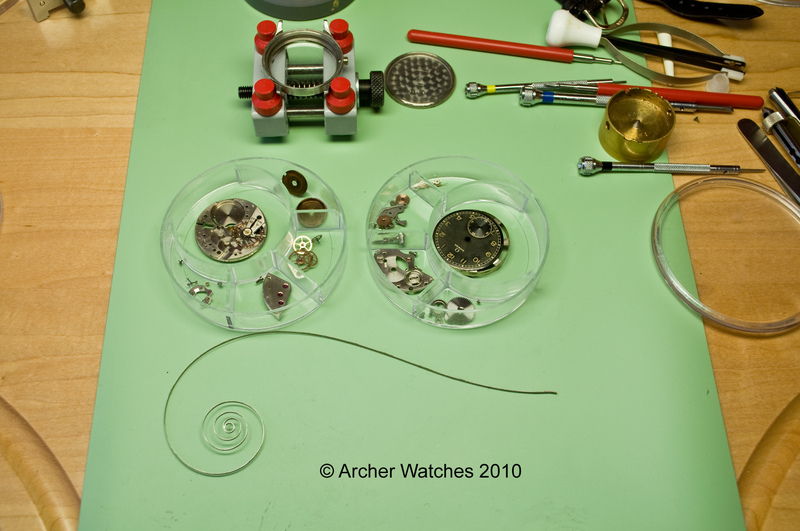 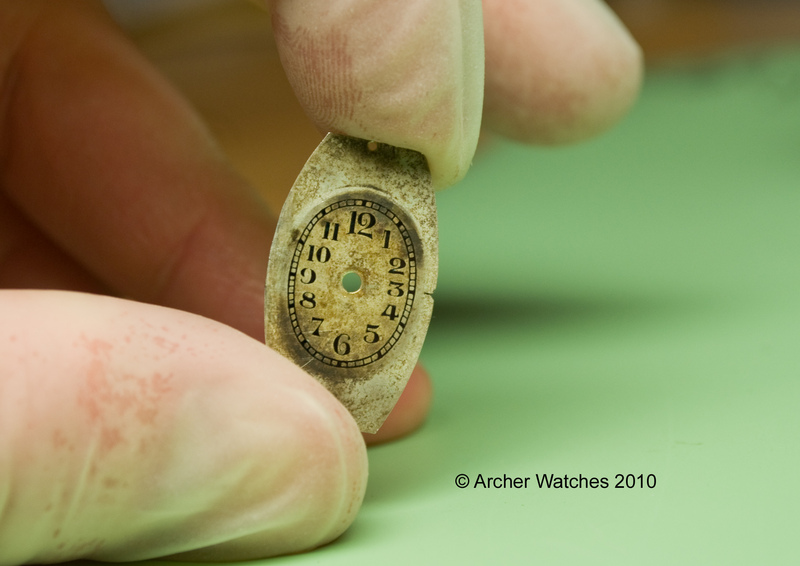 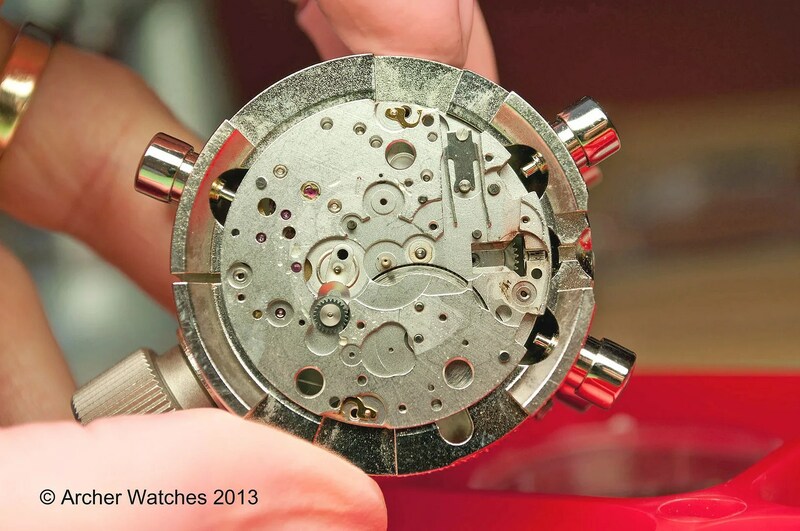 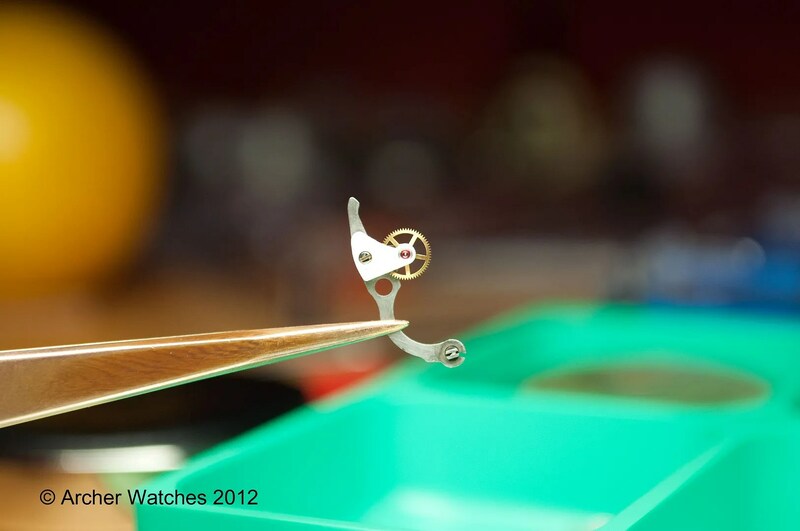 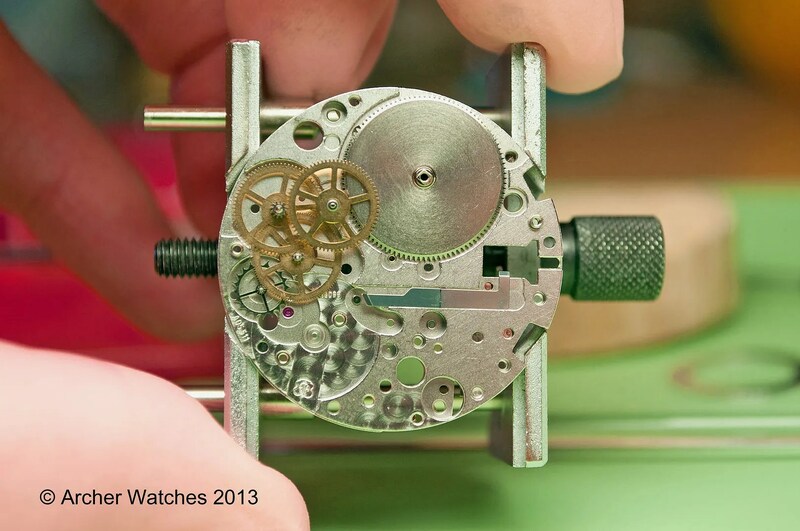 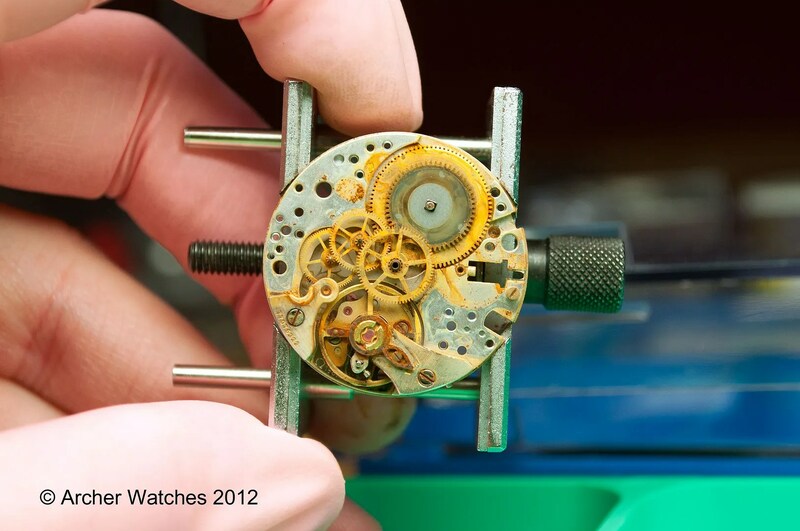 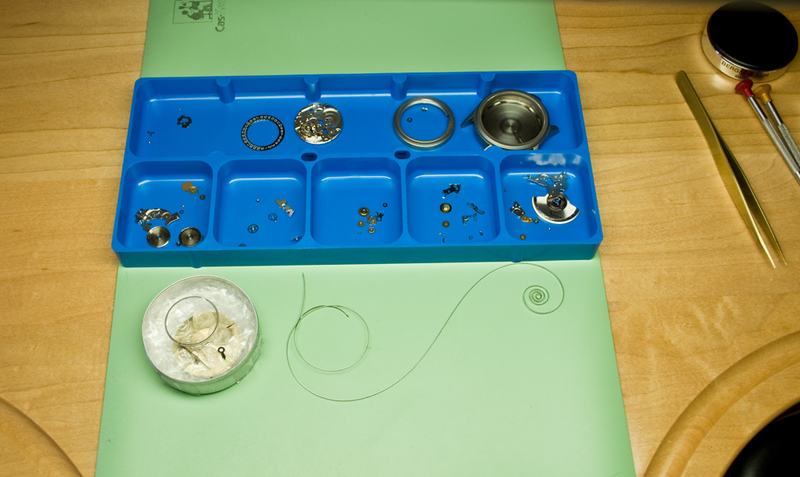 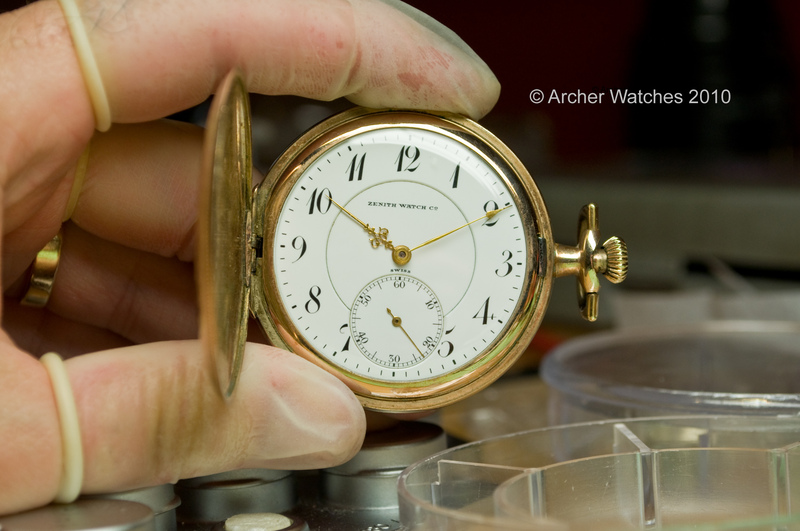 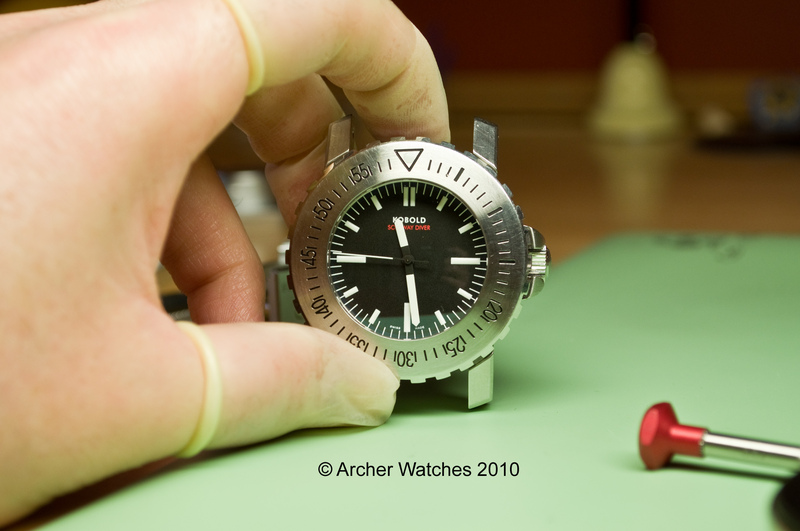 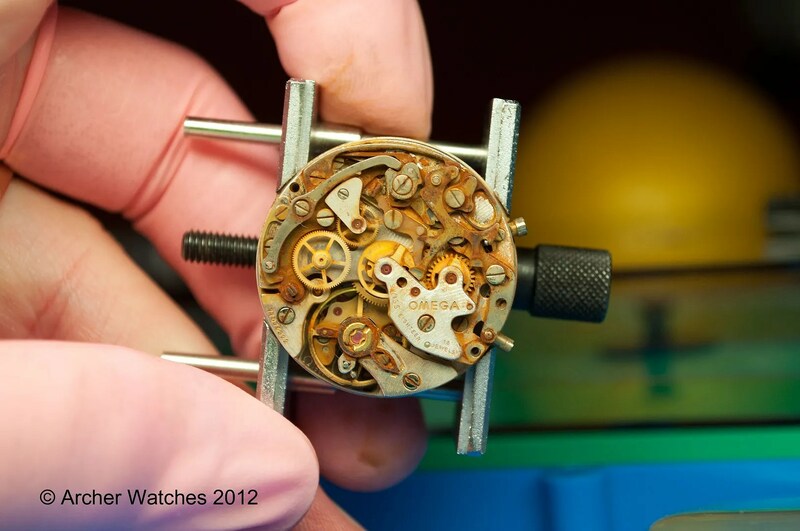 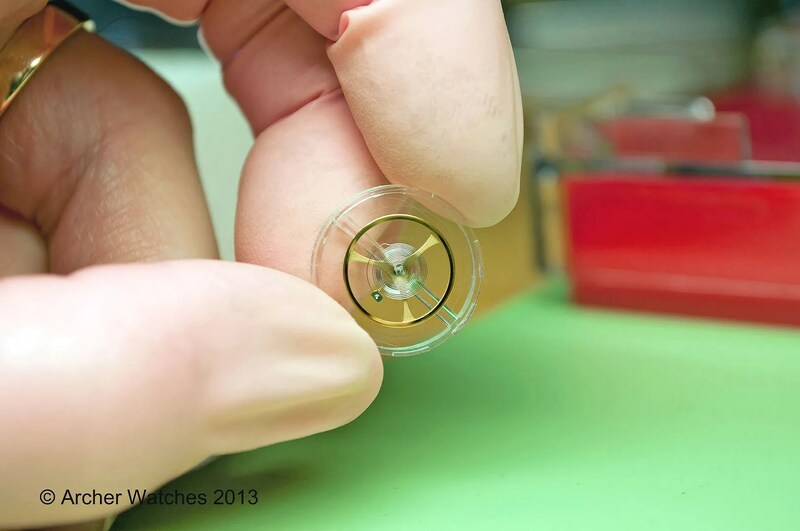 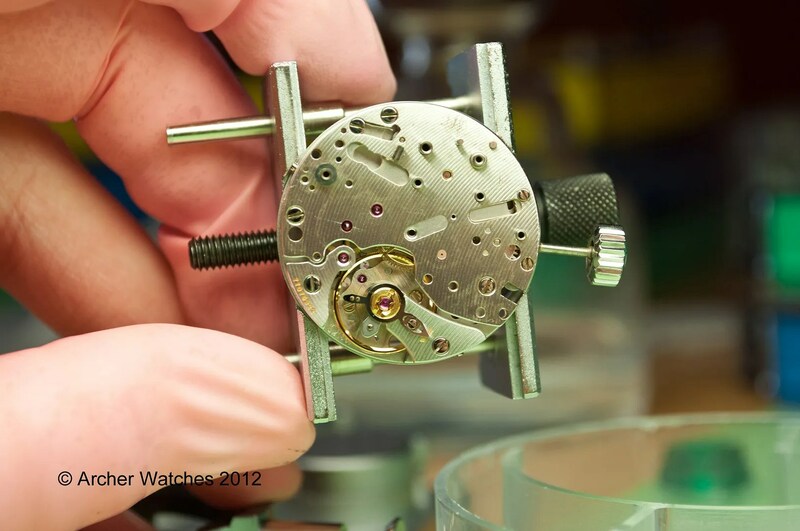 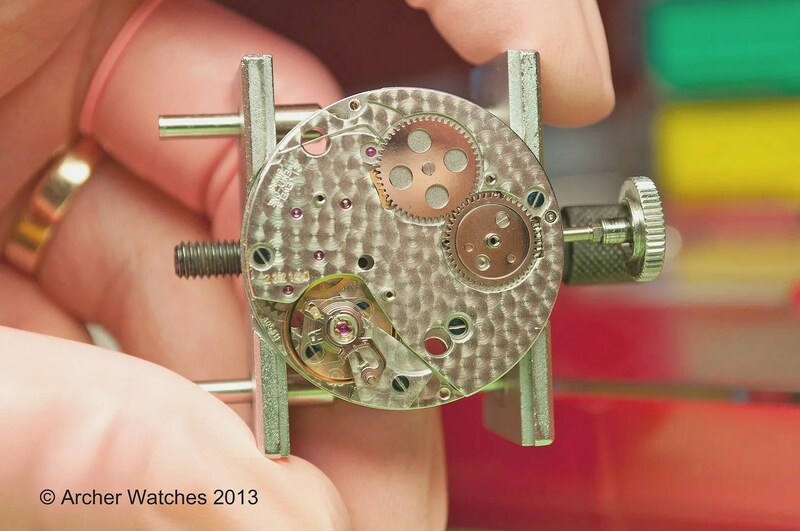 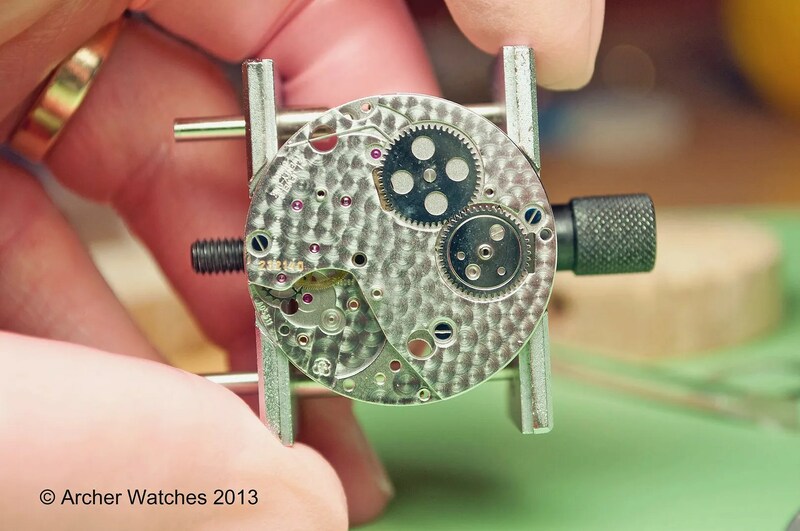 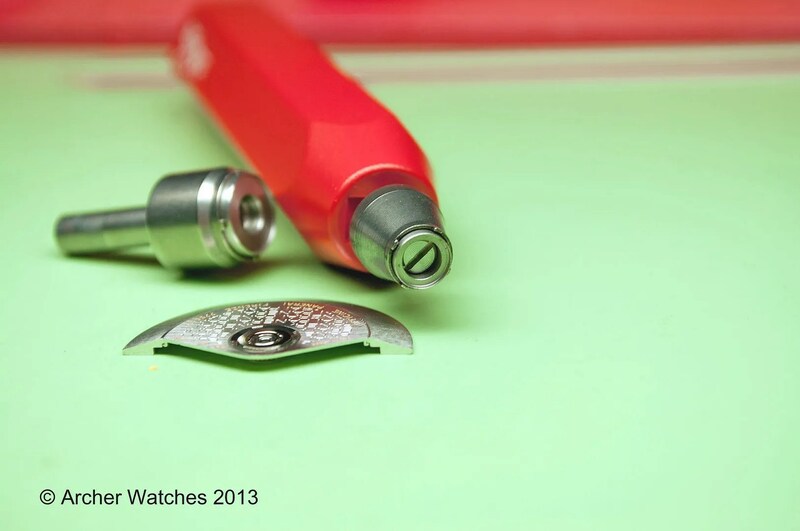 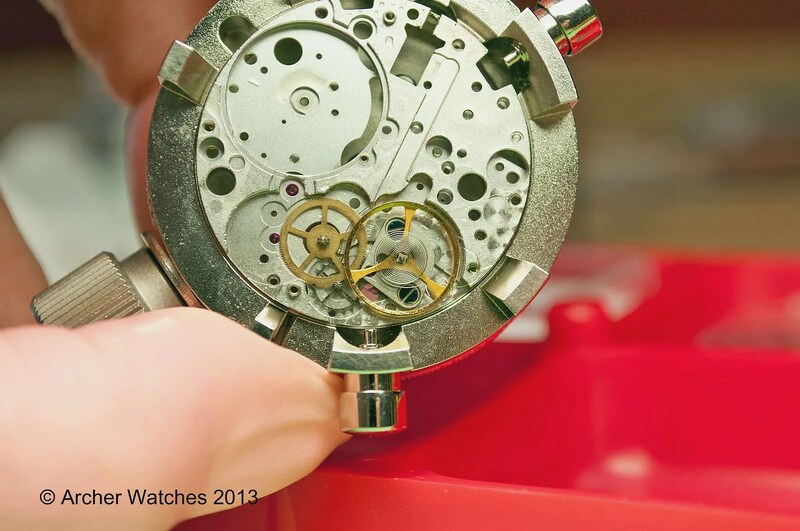 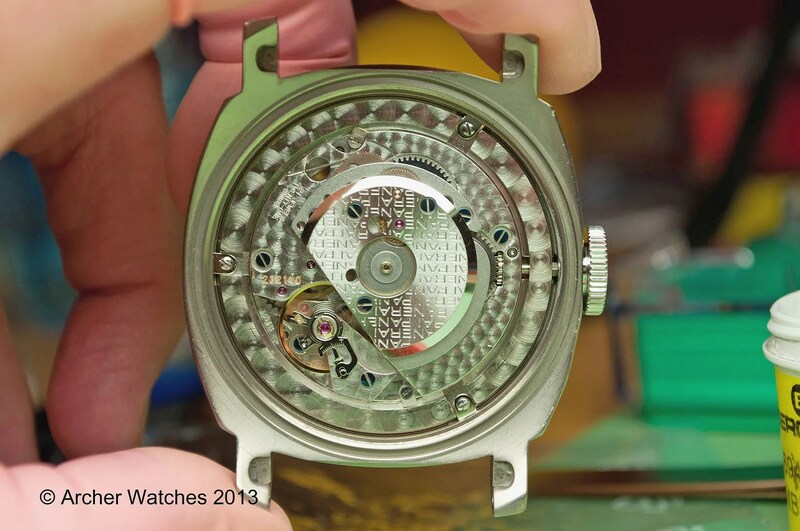 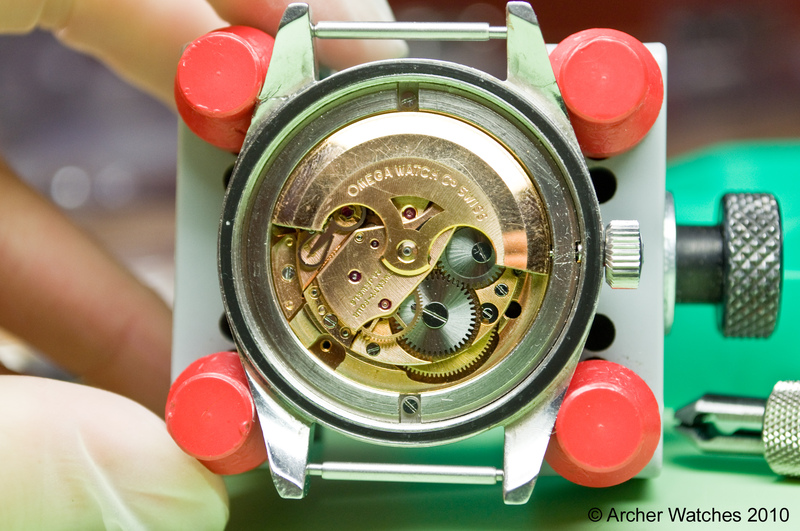 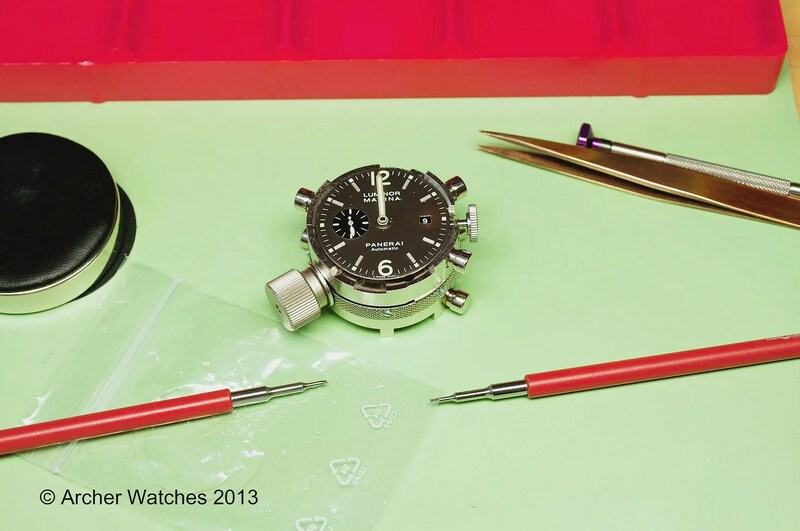 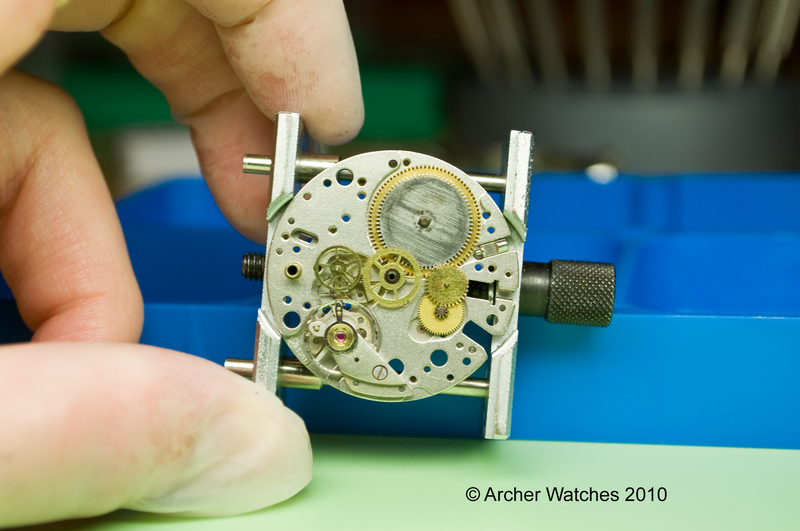 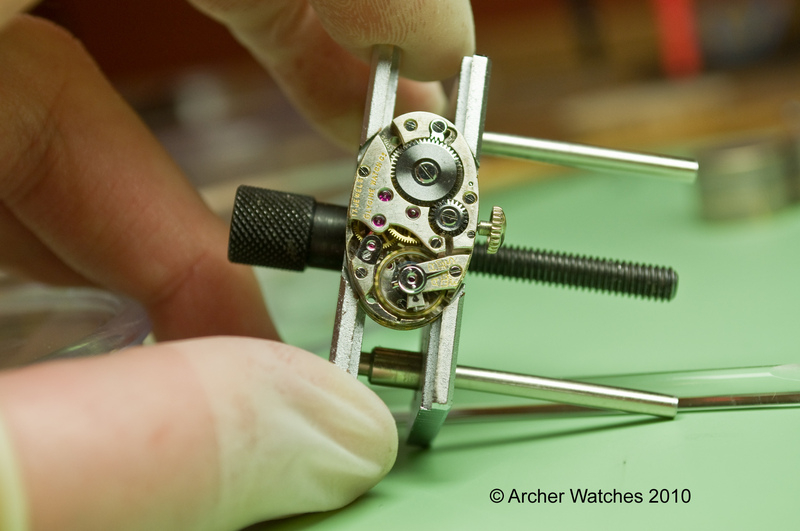 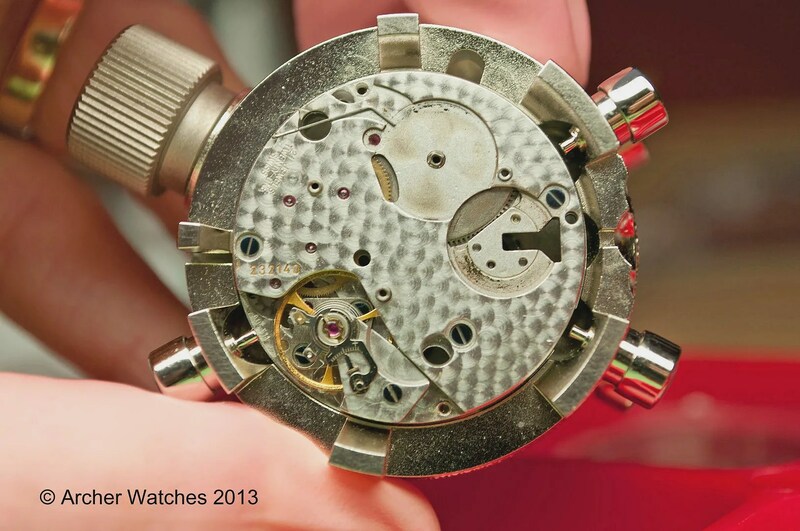 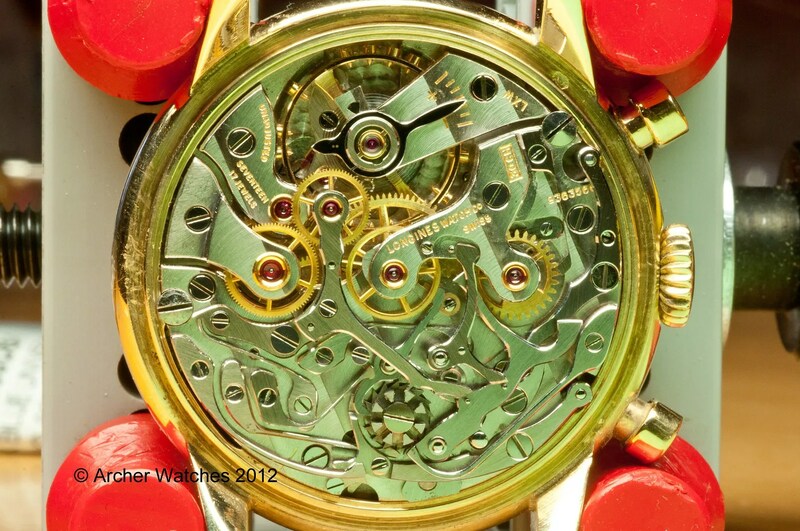 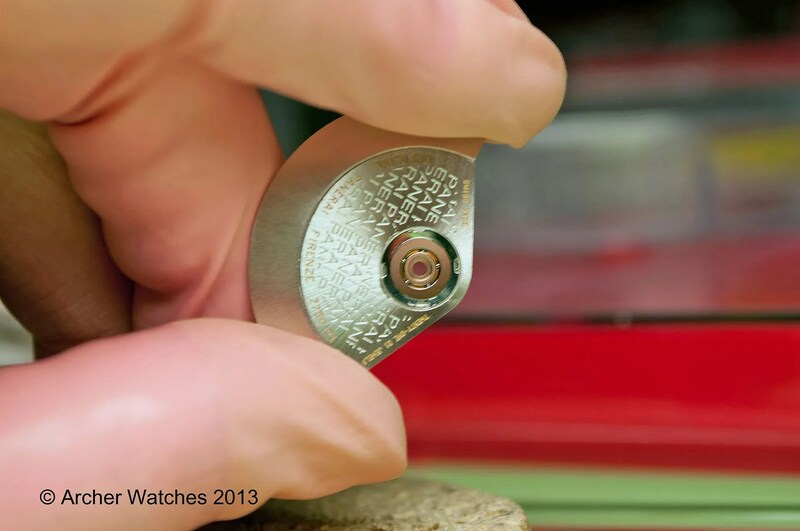 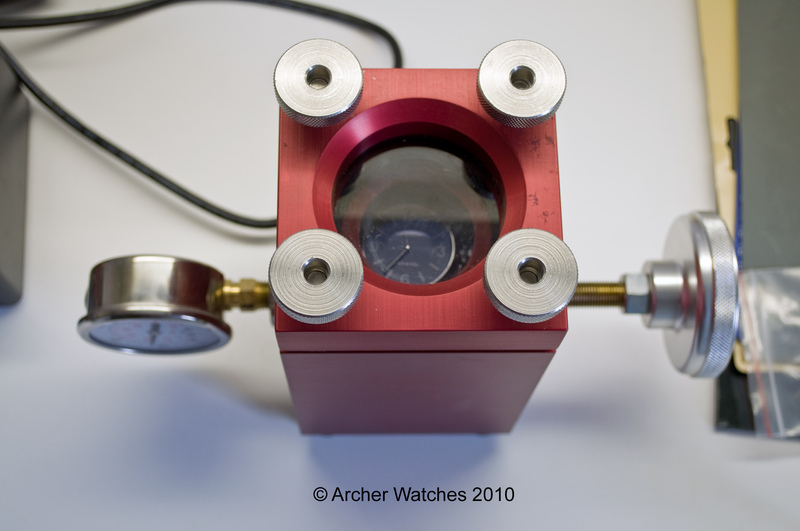 The video shows the movement running, and the first action is to start the chronograph. 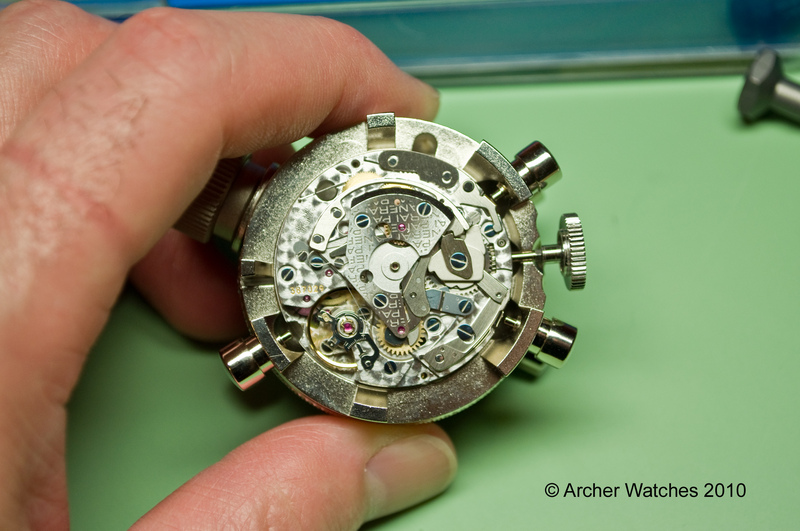 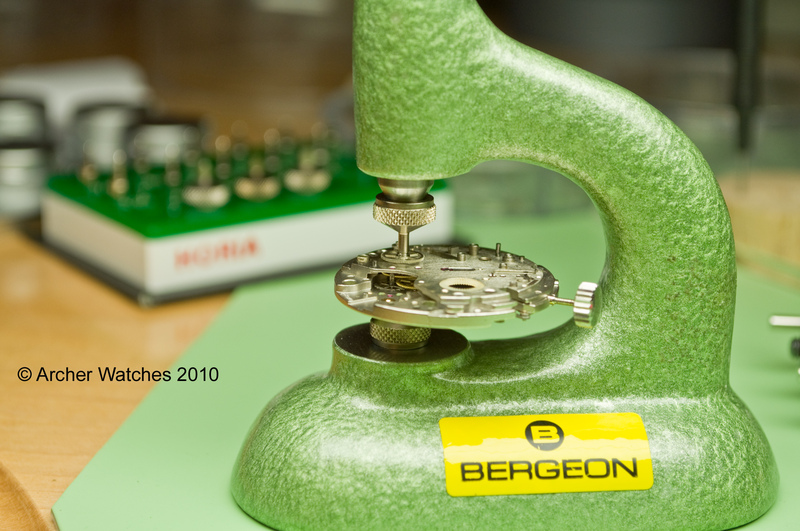 I let it run for a few seconds, and then demonstrate the Retour en vol (flyback) operation, where the chronograph can be returned to zero without first stopping the chronograph. 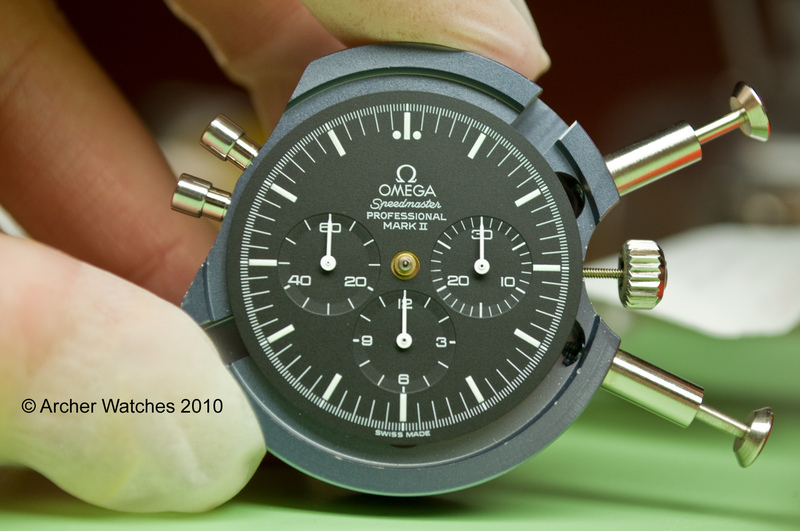 Then the chronograph continues to run until the minute counter turns over, and then I stop and reset it. 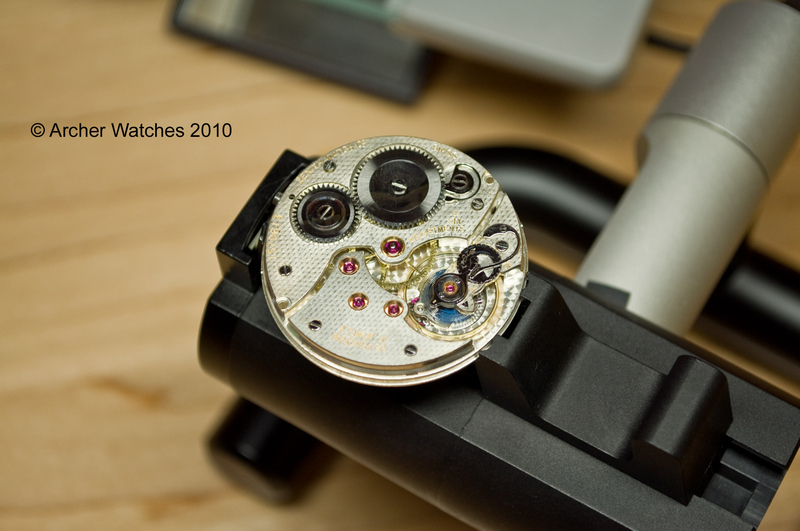 Now going from this lovely movement to something that is at the other extreme. 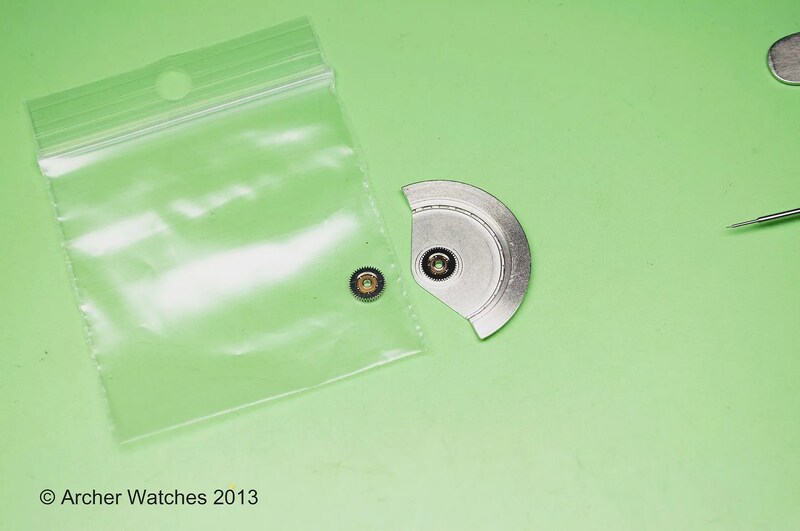 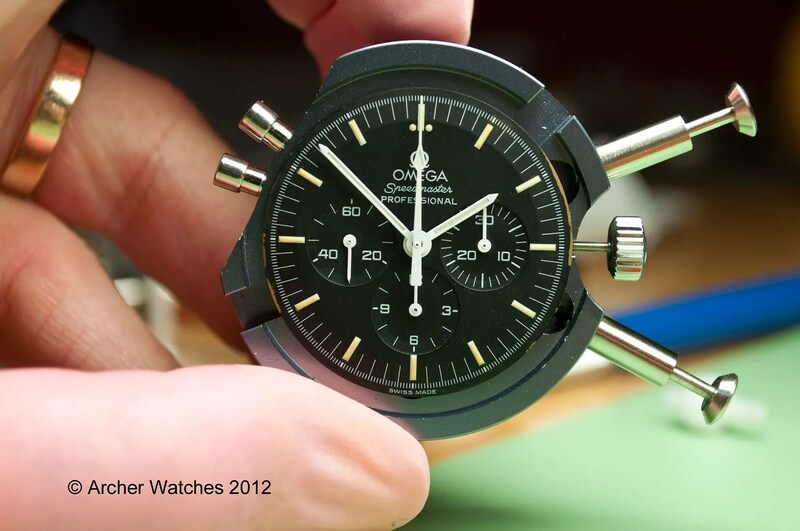 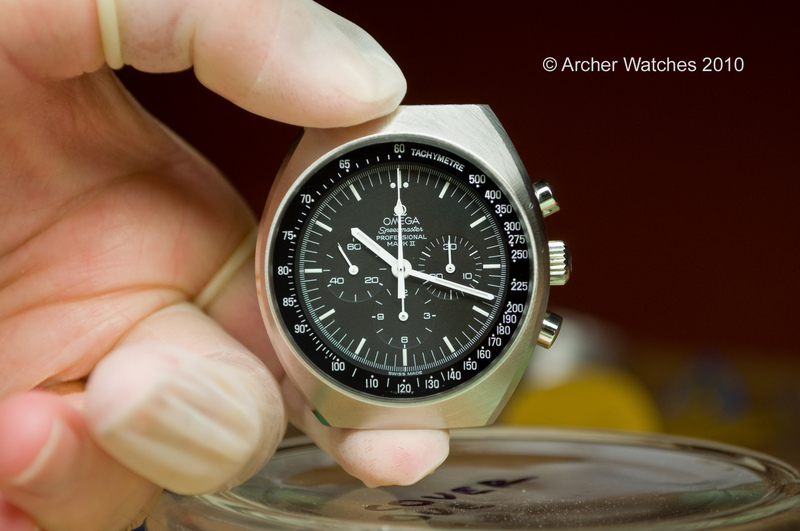 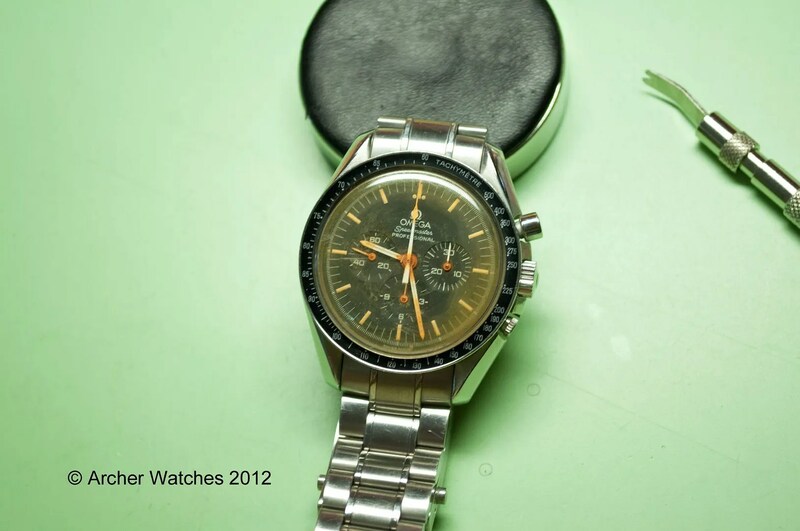 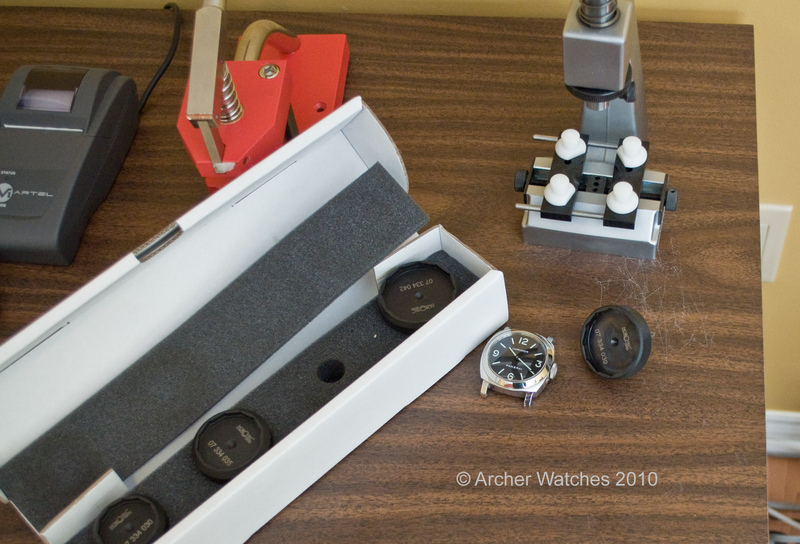 Some time ago I received an email from a Speedmaster Pro owner who had an unfortunate event – he went swimming in the ocean with his watch while on vacation, and did not realize that a pusher had come off the watch. 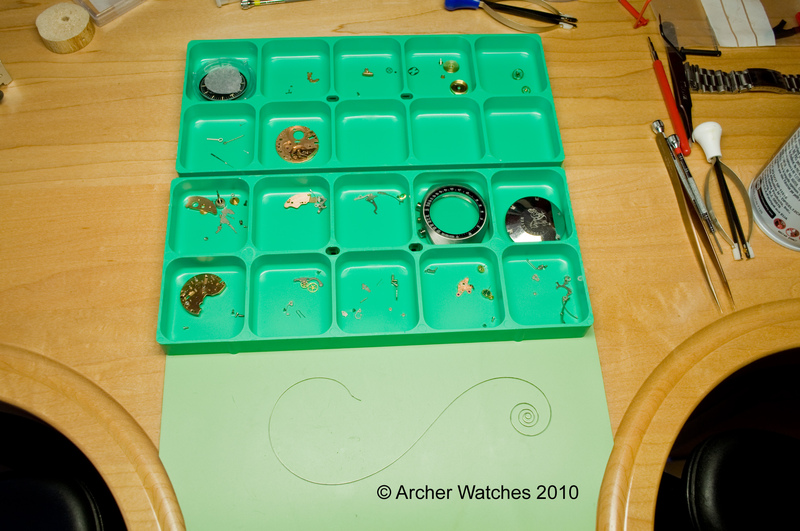 The watch was flooded and due to his location, he could not do anything with it for a few days. 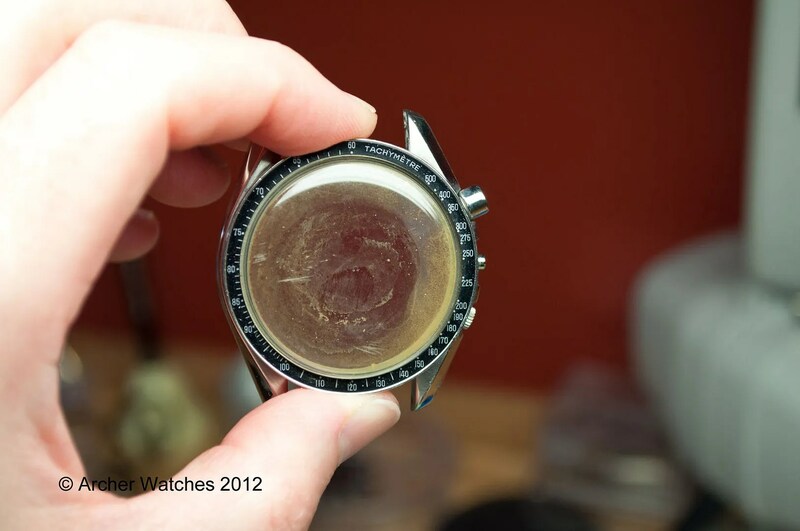 He sent me some photos that were not good, but regardless I agreed to at least have a look at the watch to see what could be done. 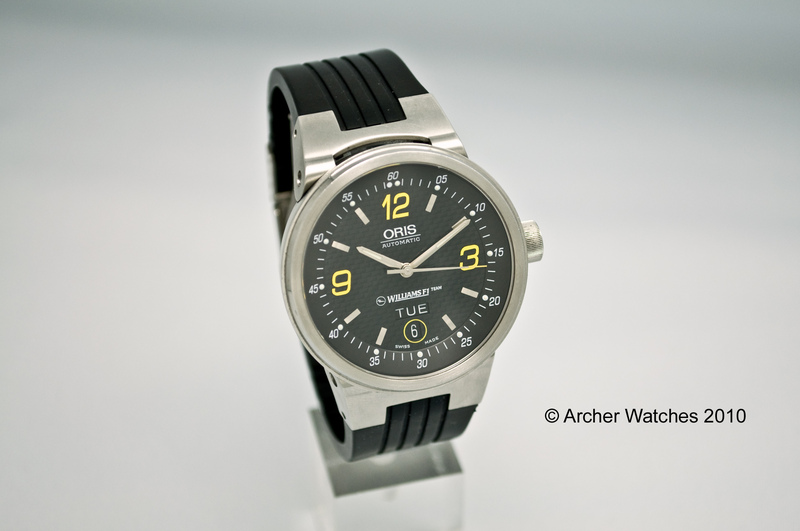 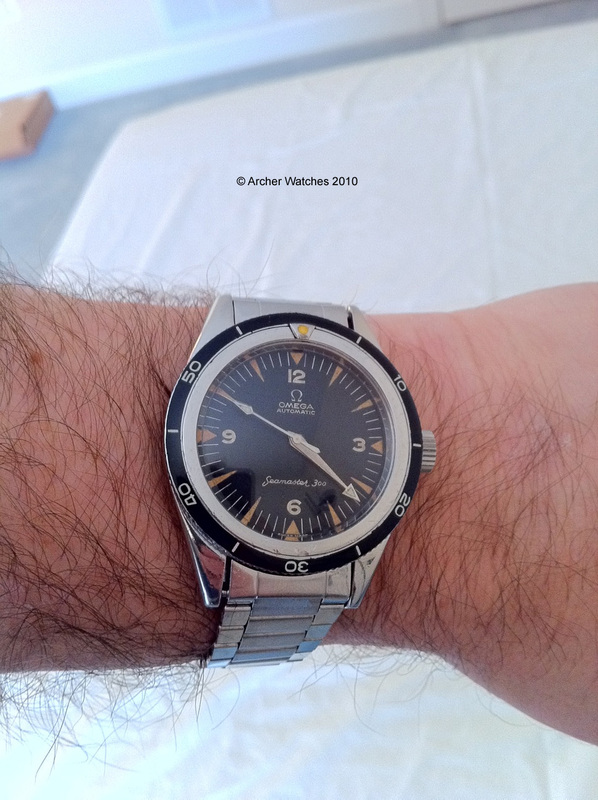 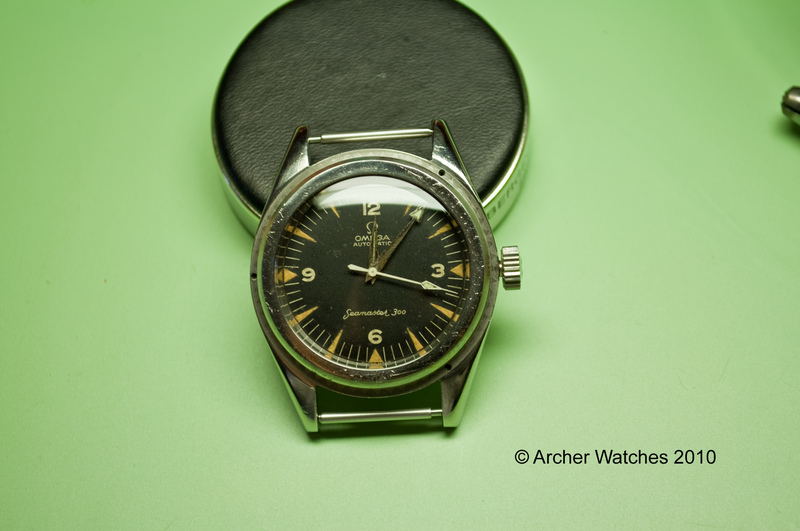 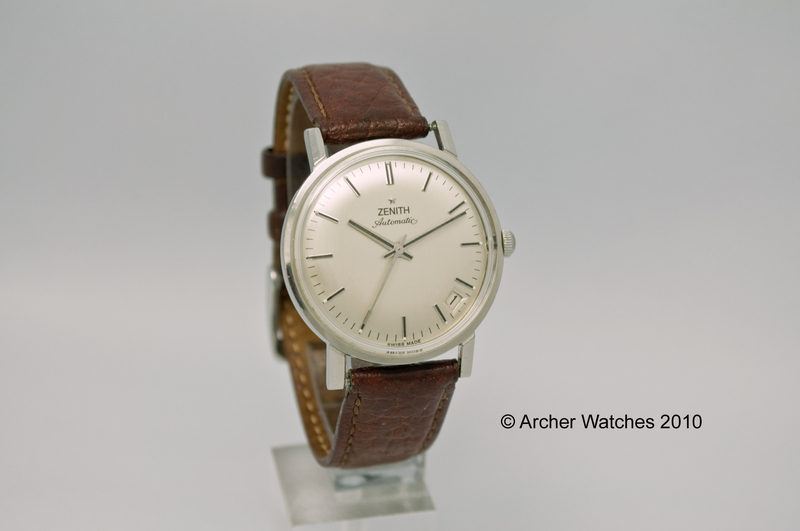 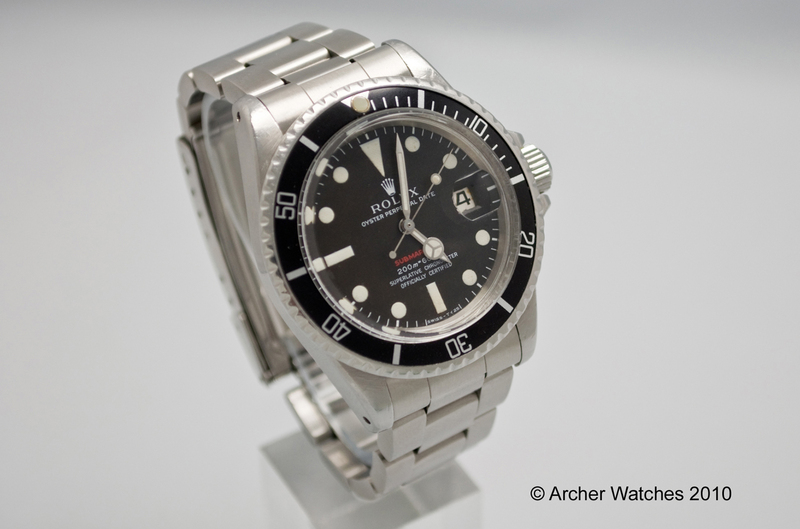 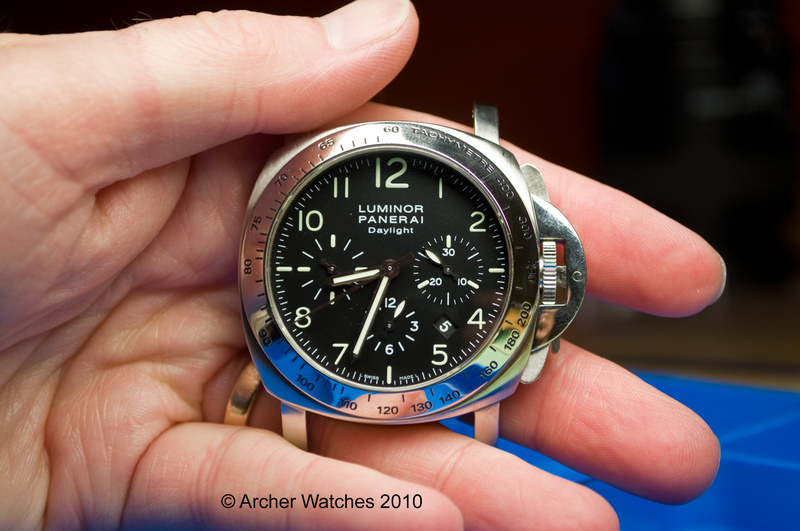 Earlier this year I was sent a Seamaster chronograph with a Cal. 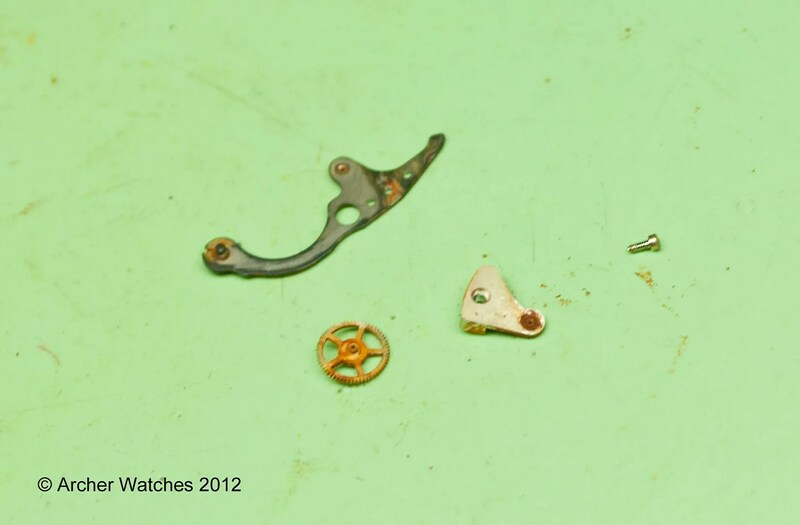 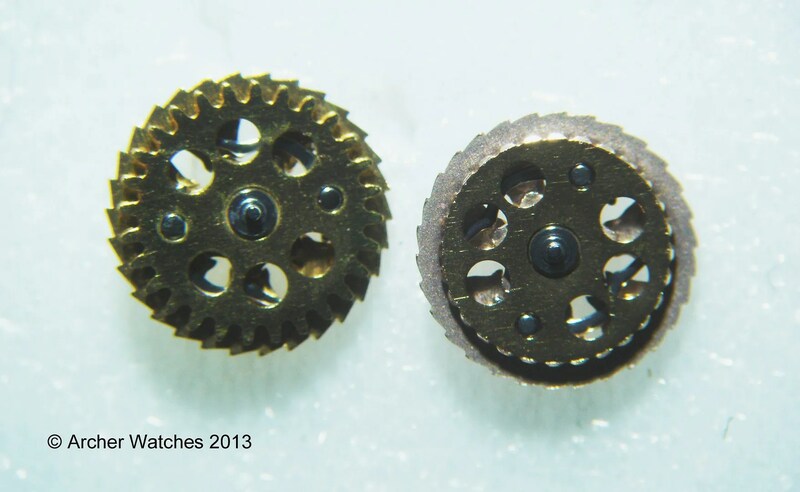 1164 (ETA 7750 base) that was one solid rusted mass, and for that one the only option was a brand new movement from Omega. 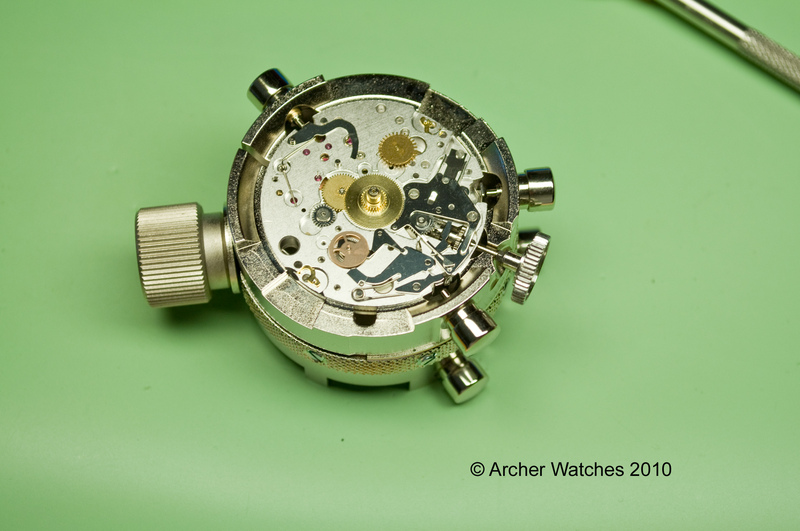 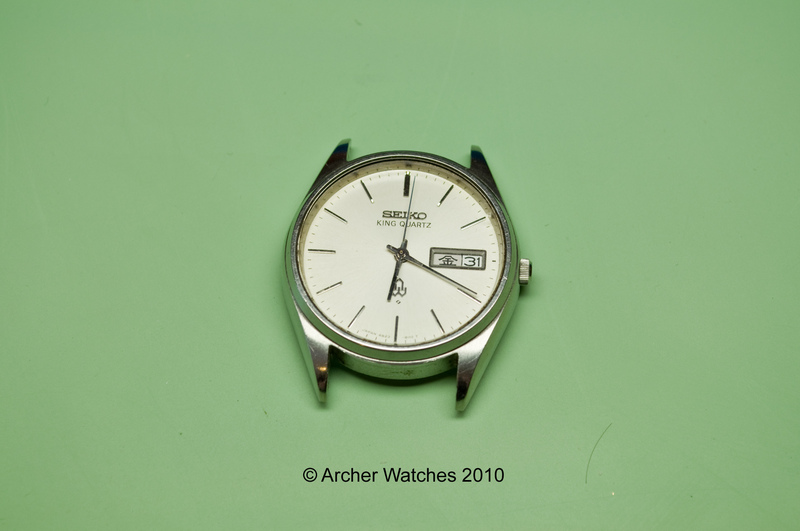 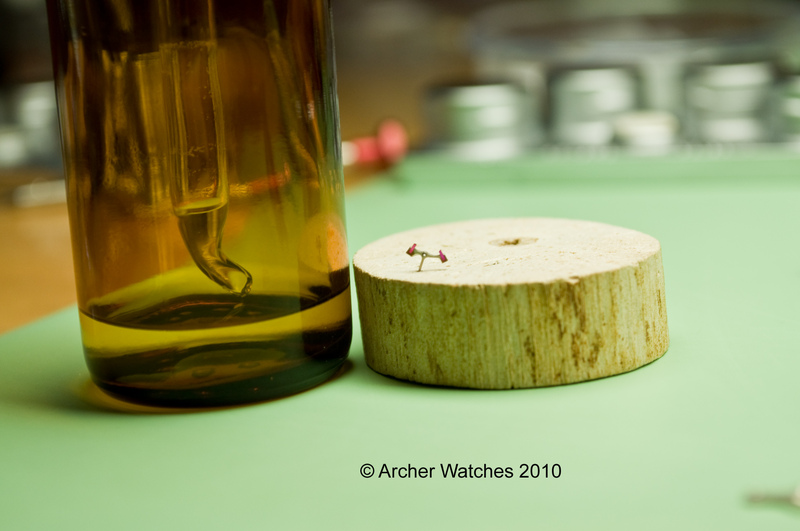 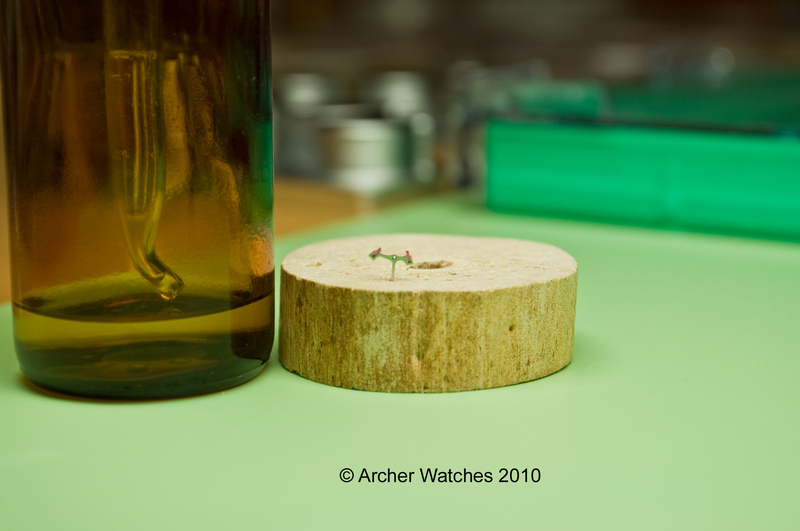 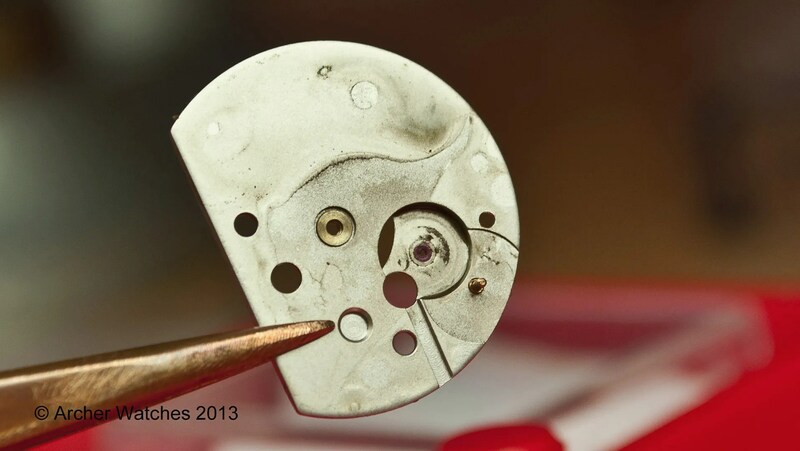 However with this one the movement was in good enough shape I thought it could be salvaged. 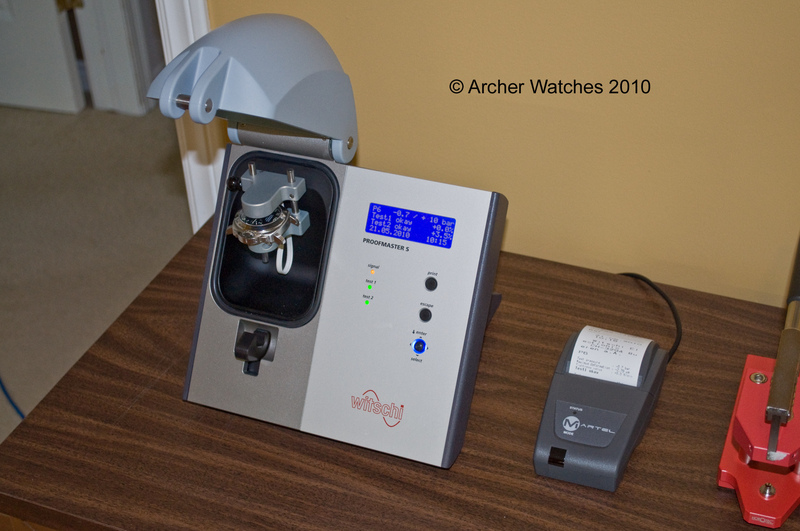 Note the green film on the screen – this is a loaner machine while mine is out for regular calibration. 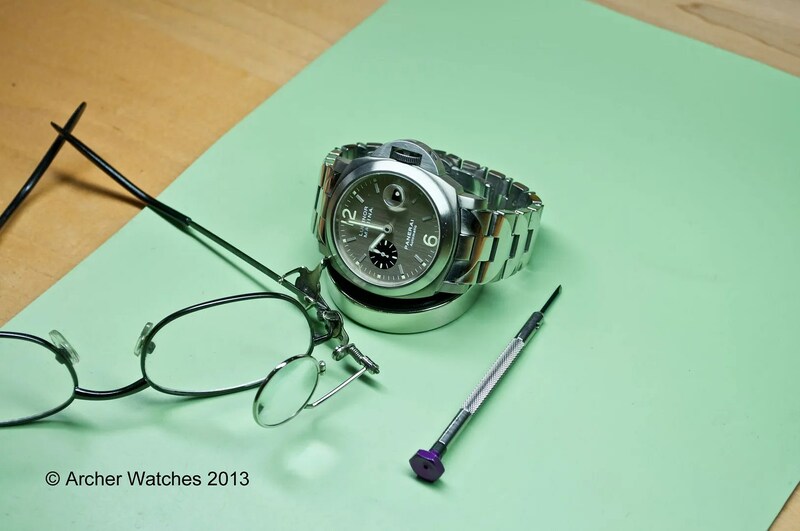 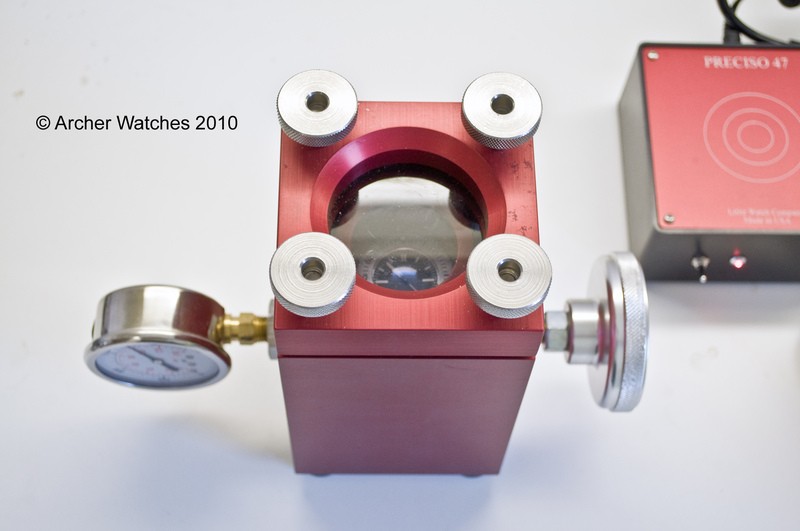 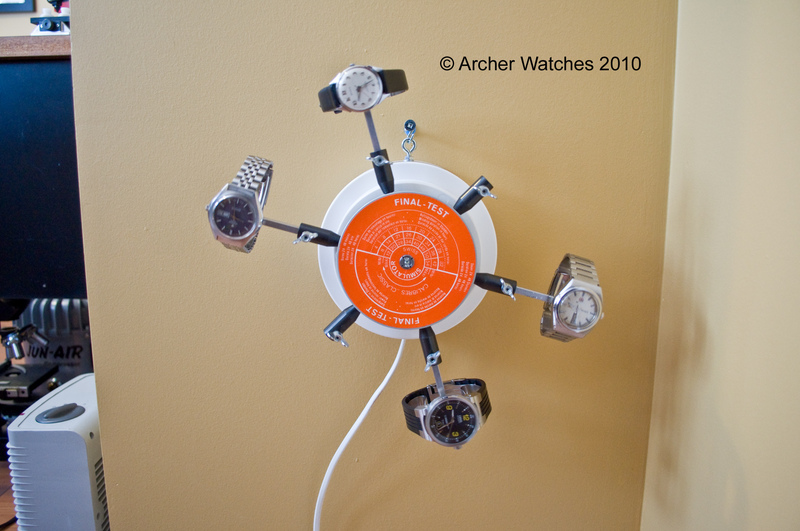 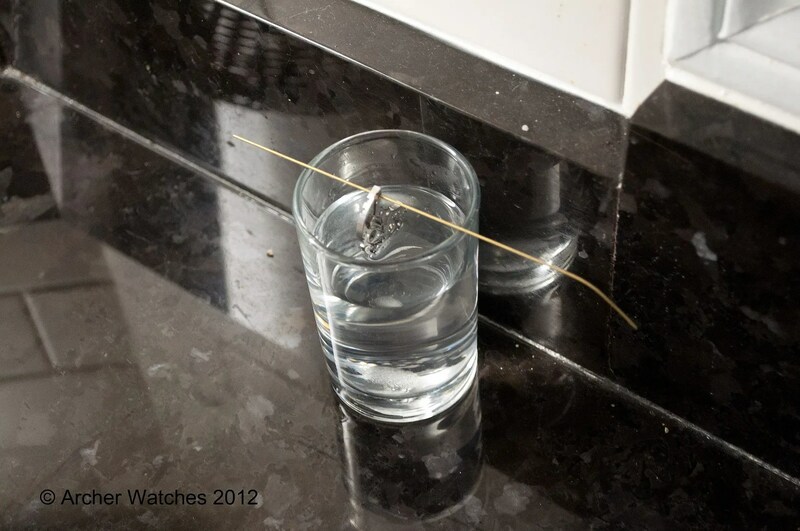 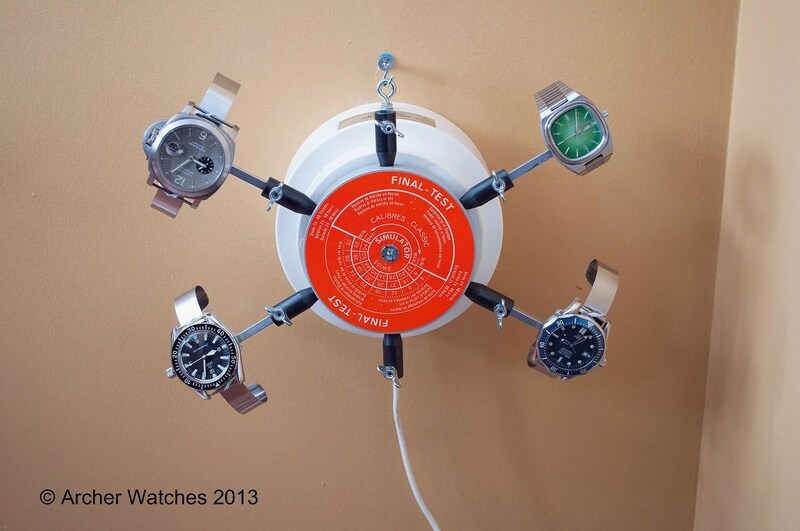 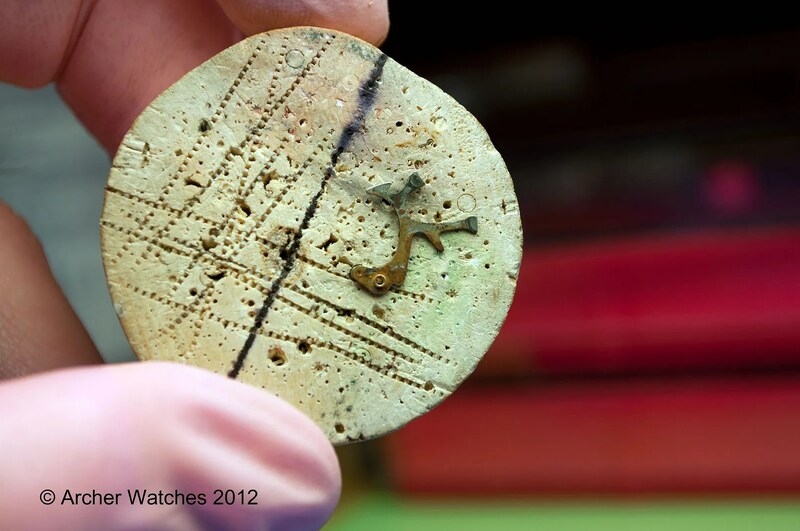 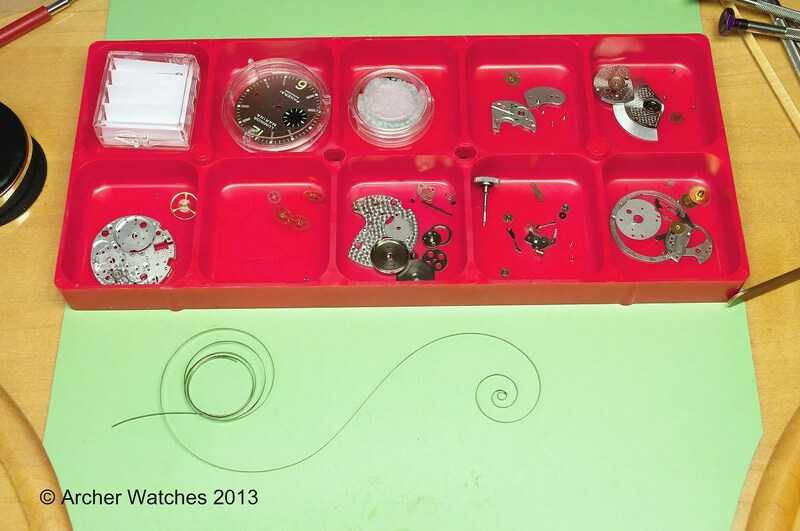 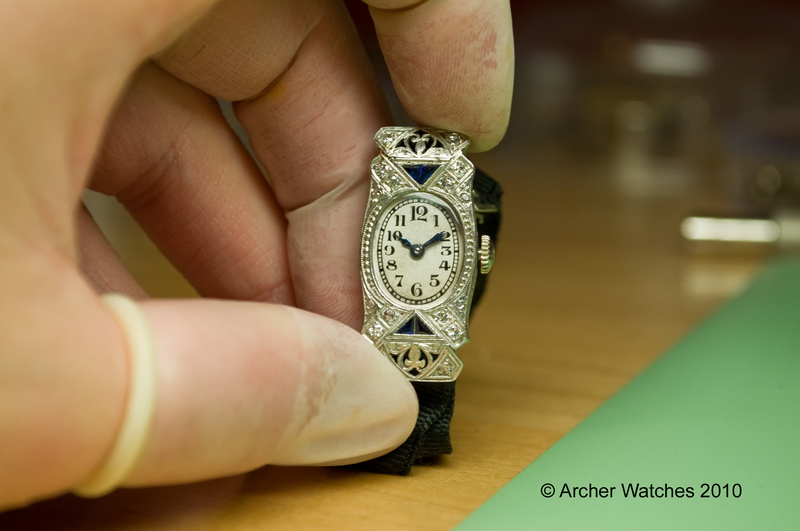 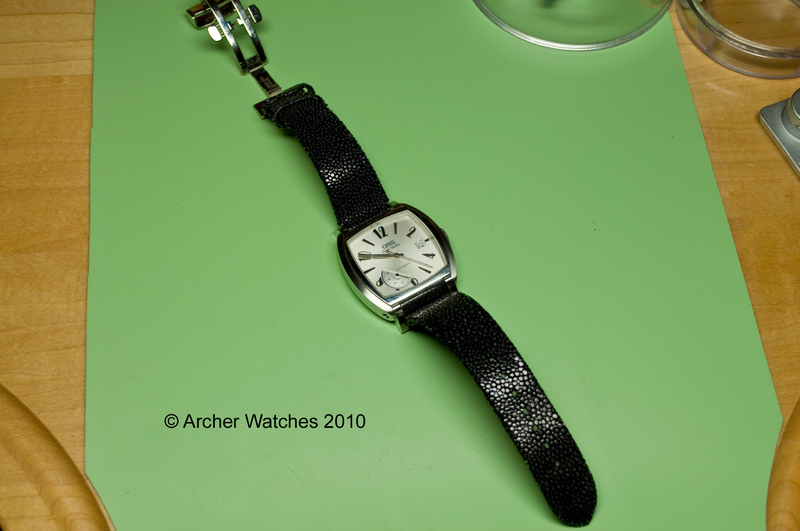 The owner of this watch was very pleased with the end result. 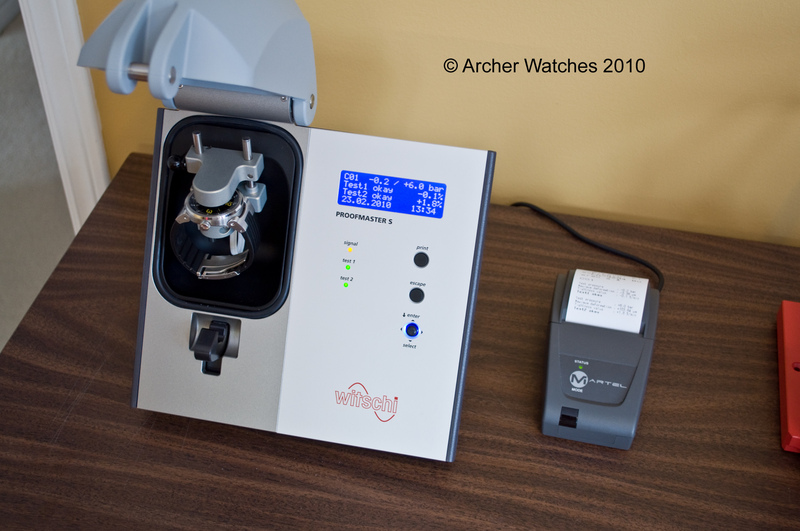 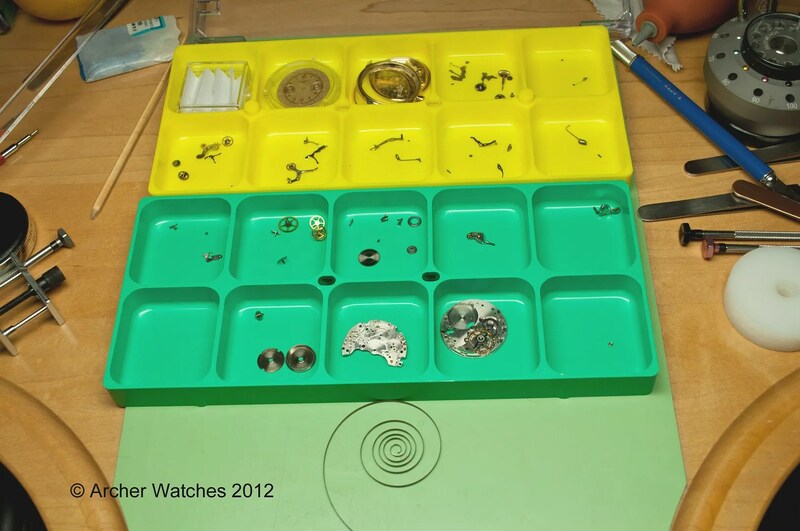 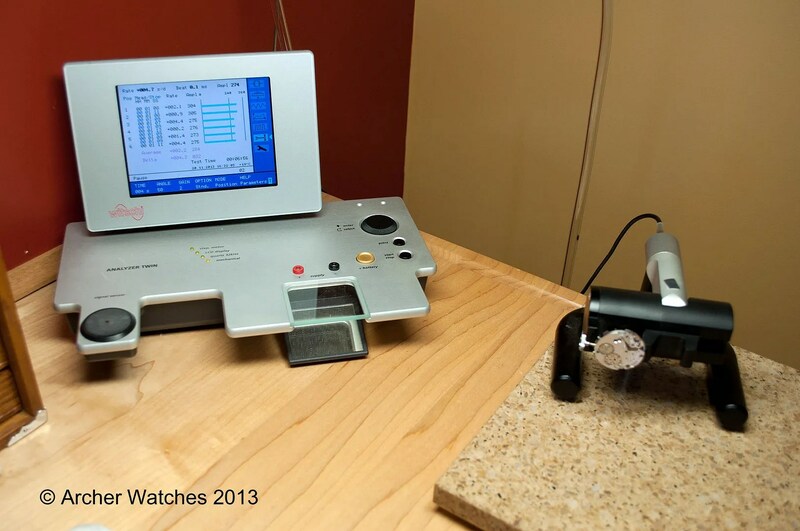 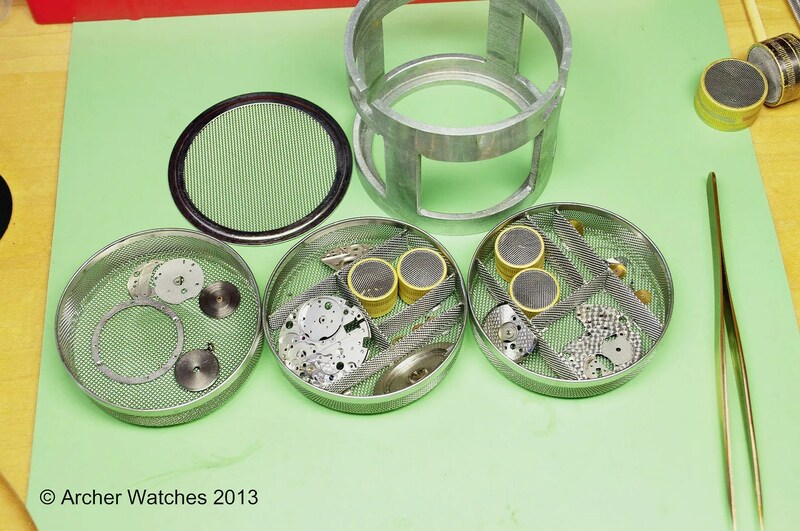 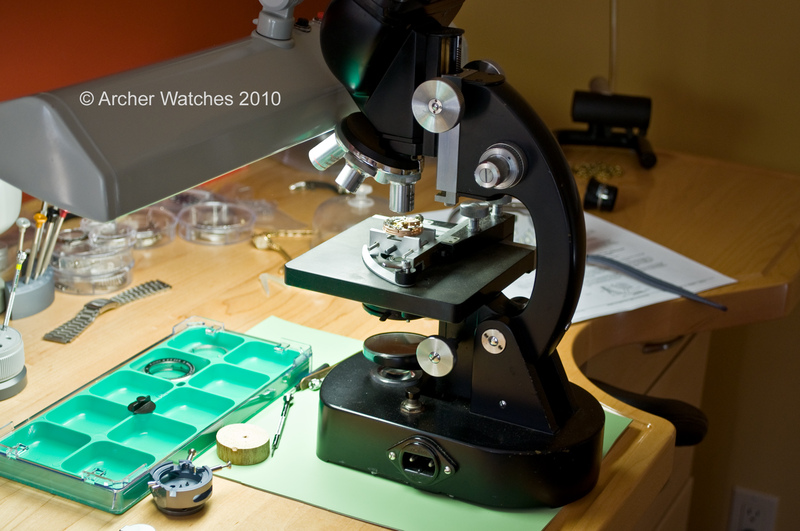 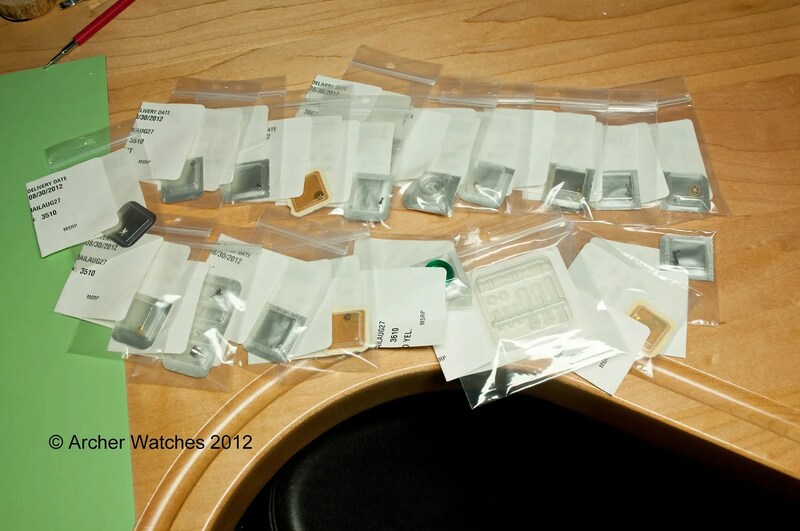 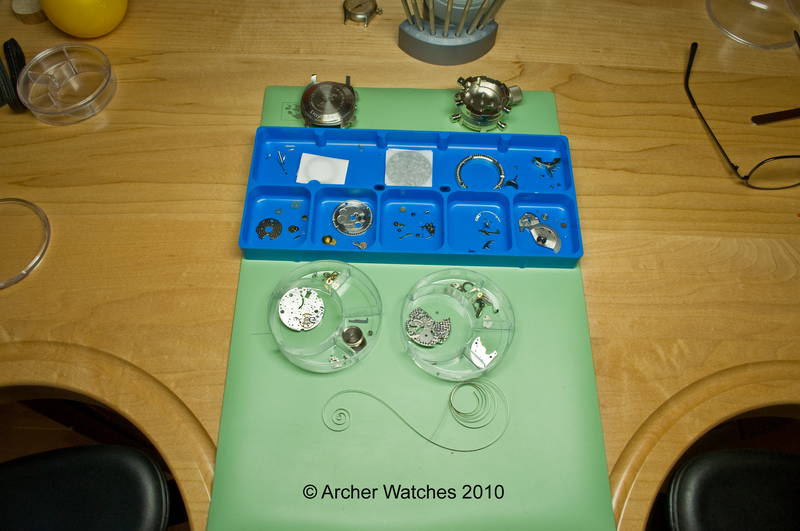 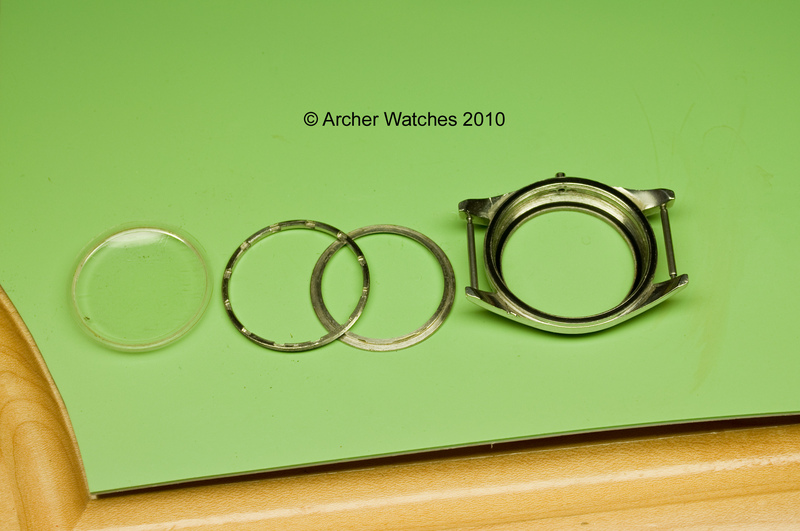 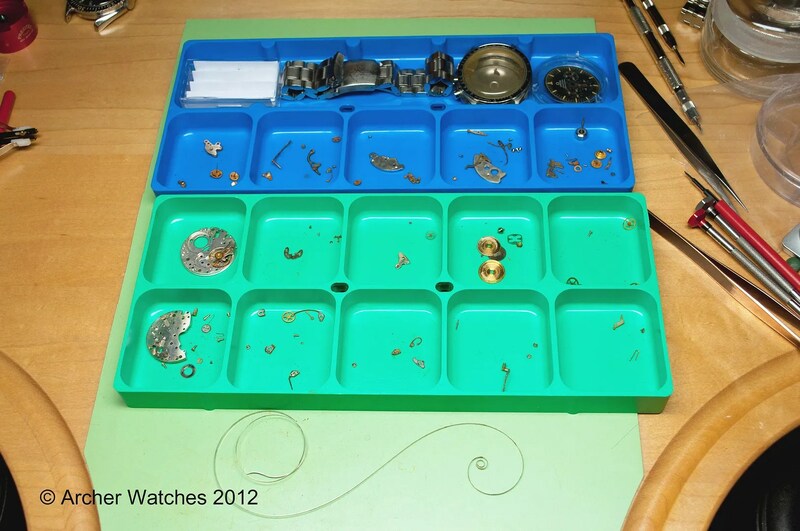 I thought I would show some of the wide variety of watches that I have serviced over the last few months. 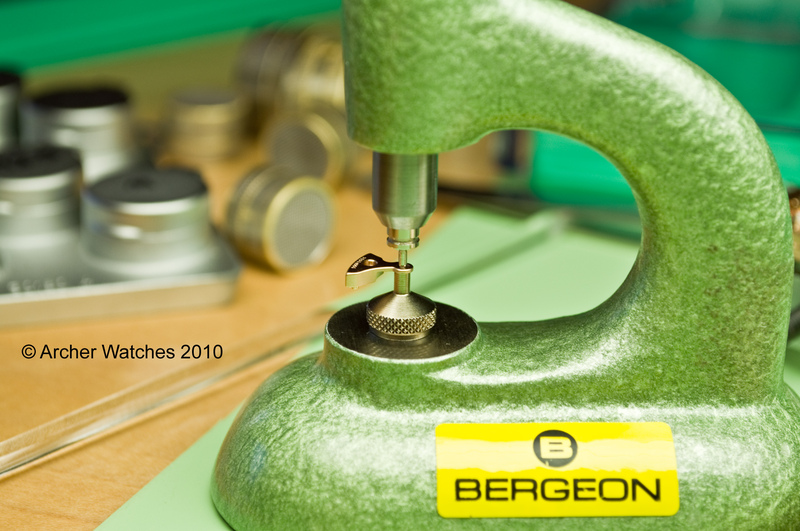 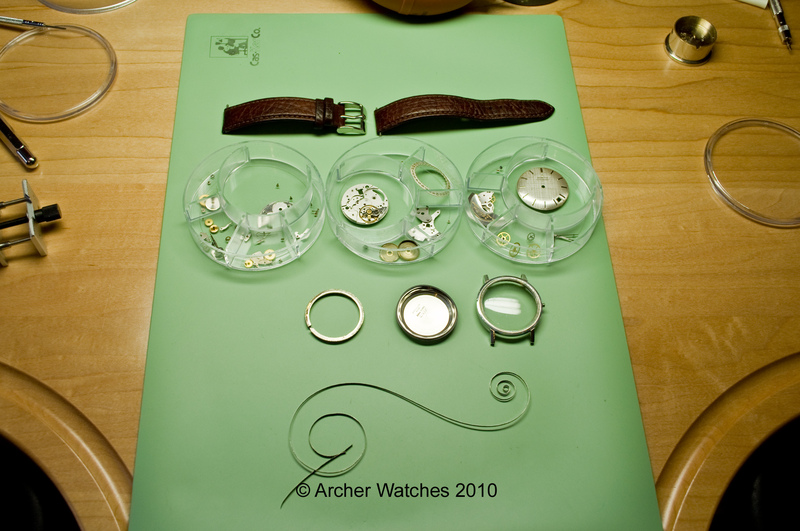 All of these watches received a complete service.